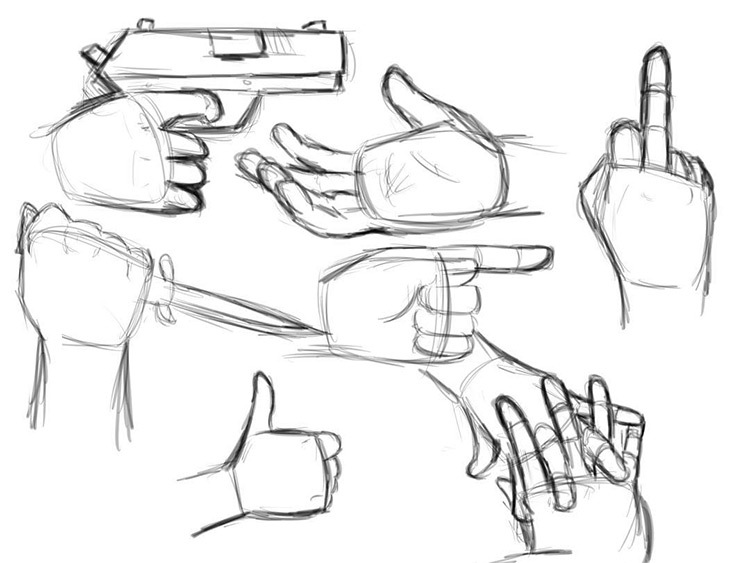 The best way to improve drawing anything is to practice it over & over. 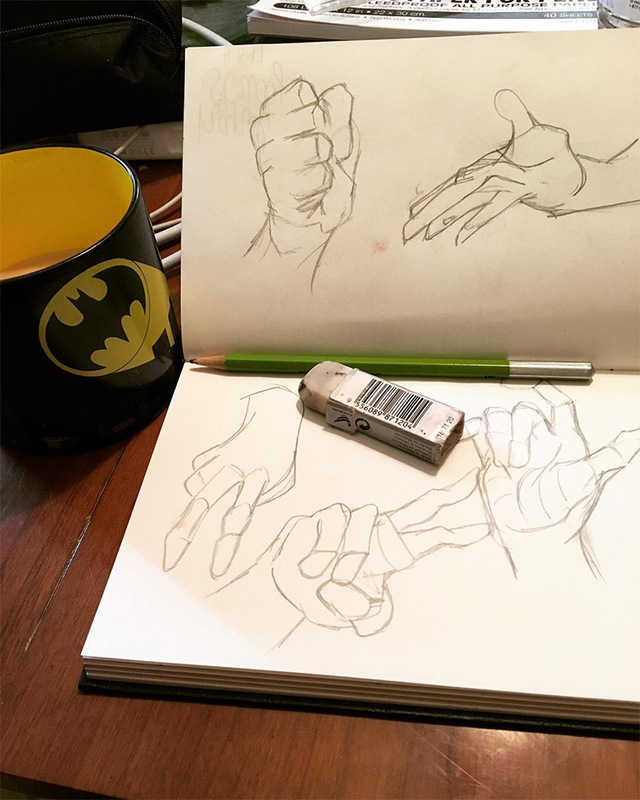 Some of the toughest things to draw are human features, hands being the most frustrating(and most rewarding) to practice. 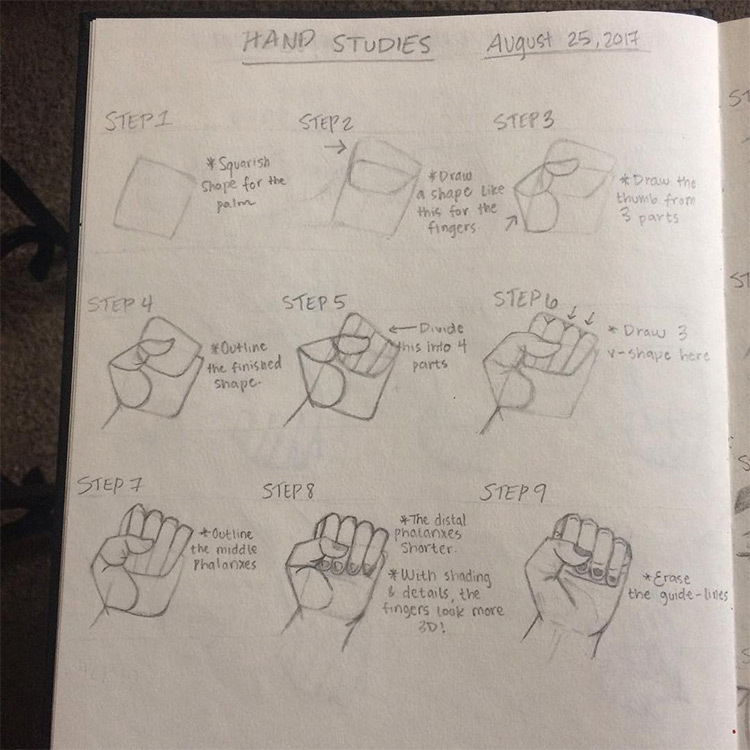 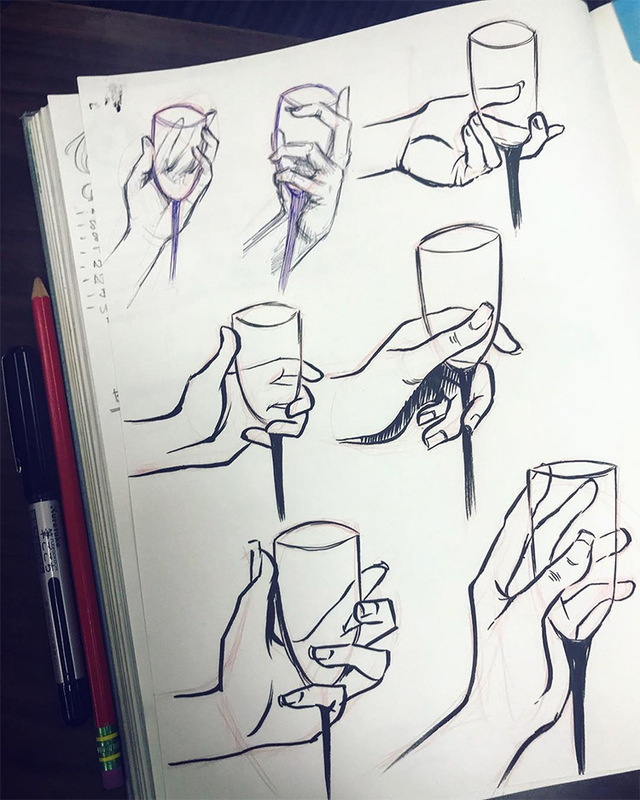 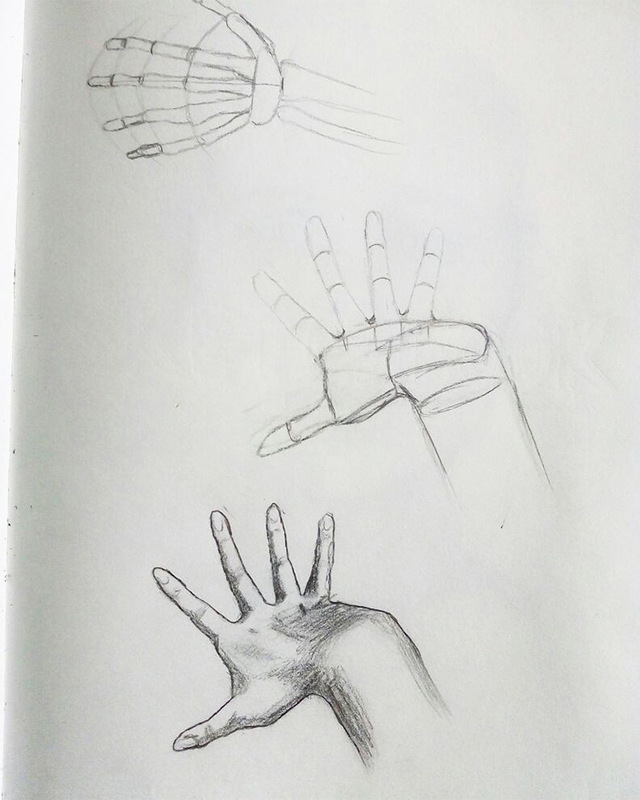 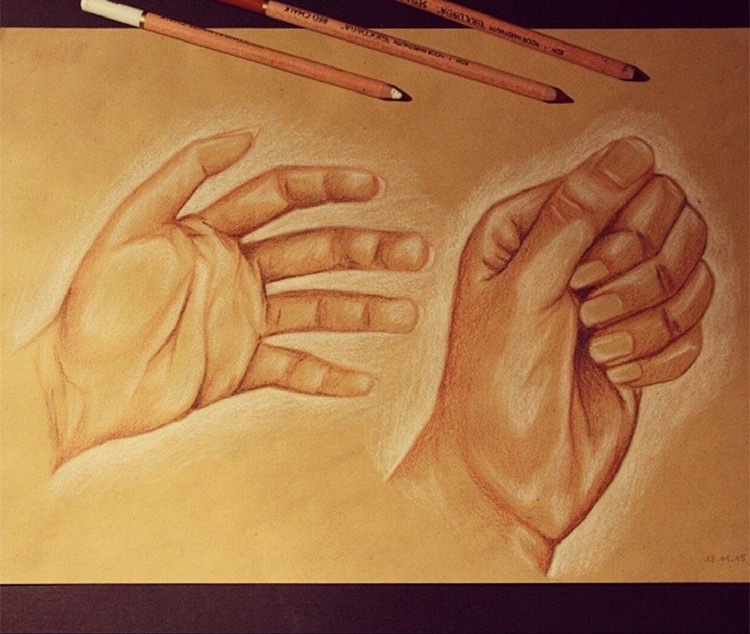 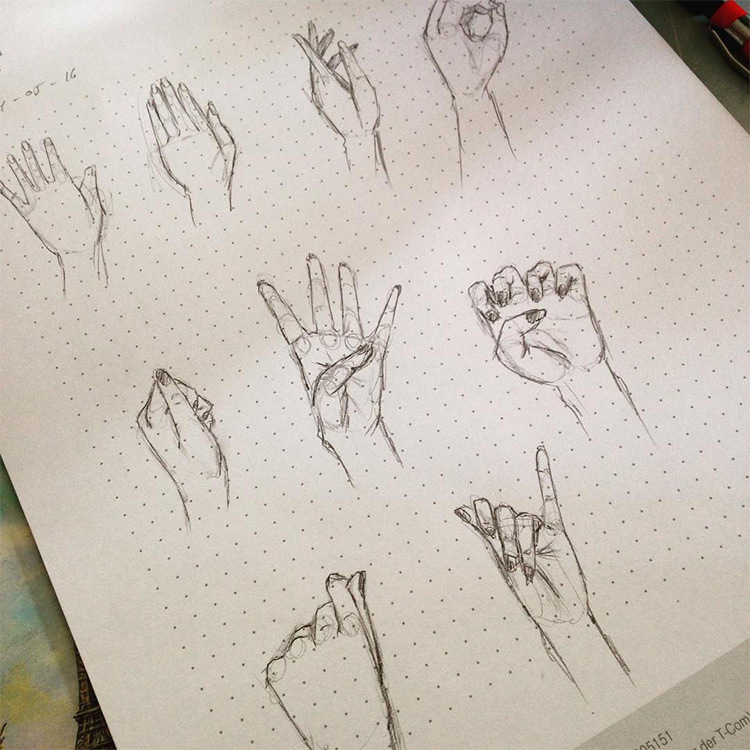 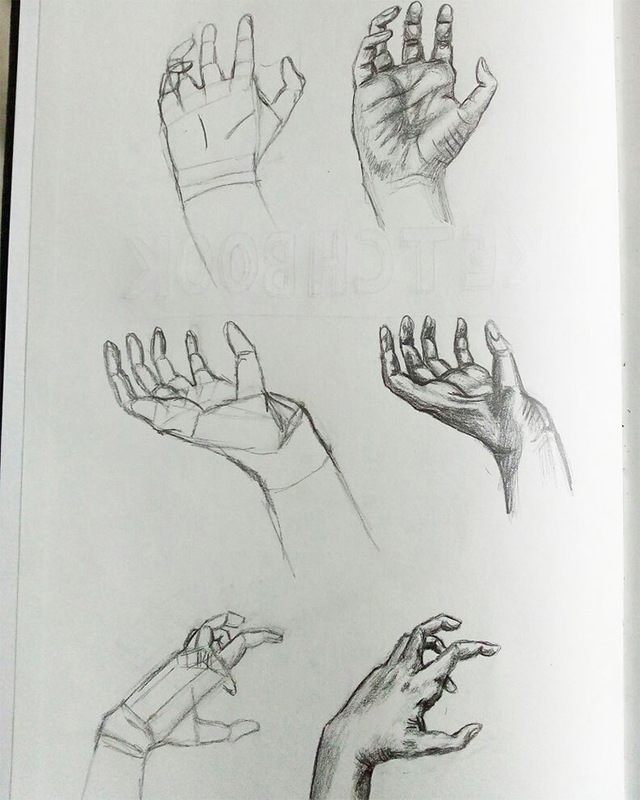 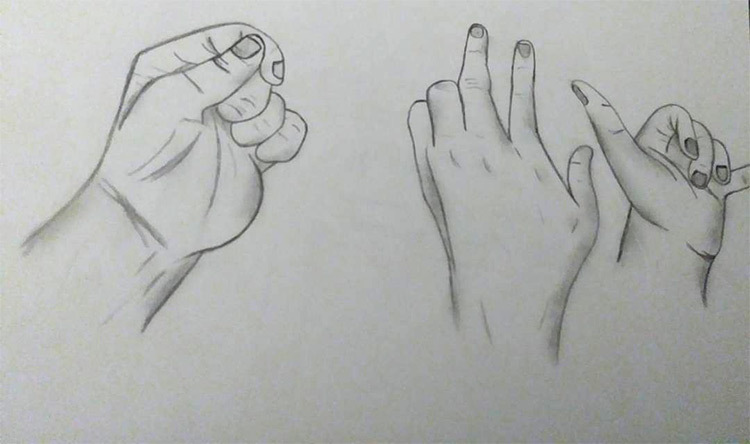 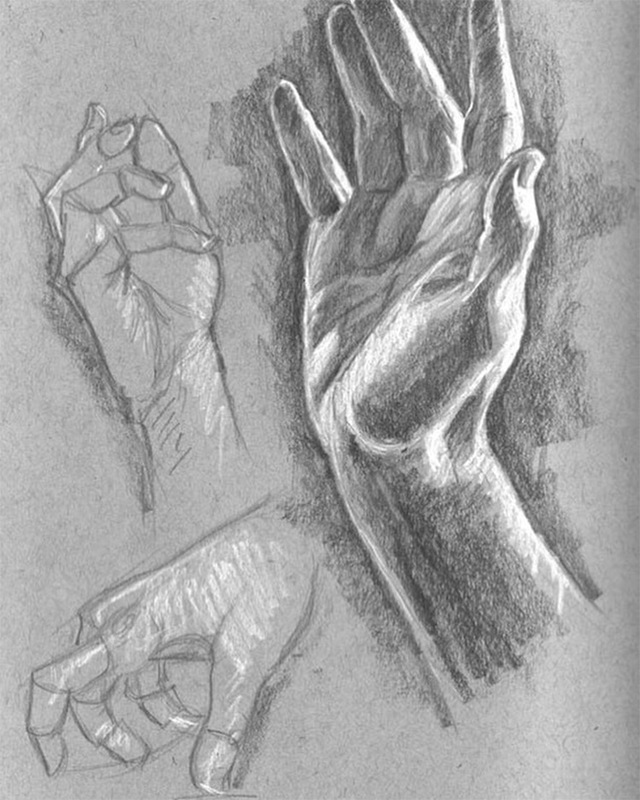 But you may not know how to begin your hand studies if you’ve never done them before. 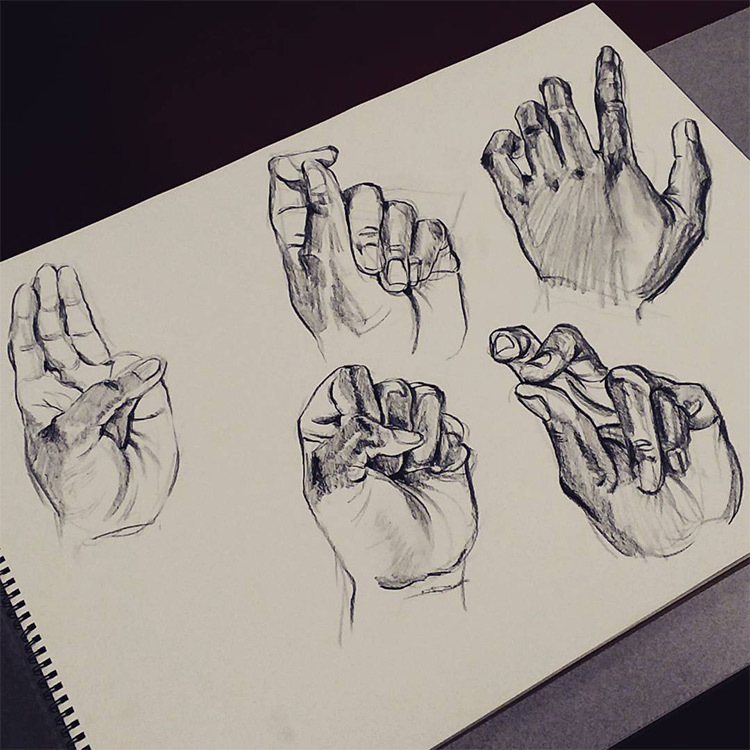 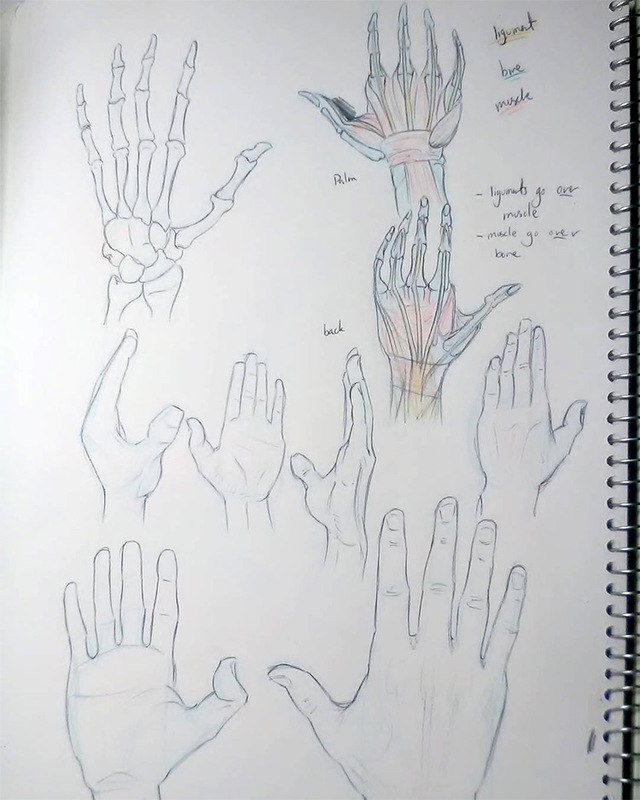 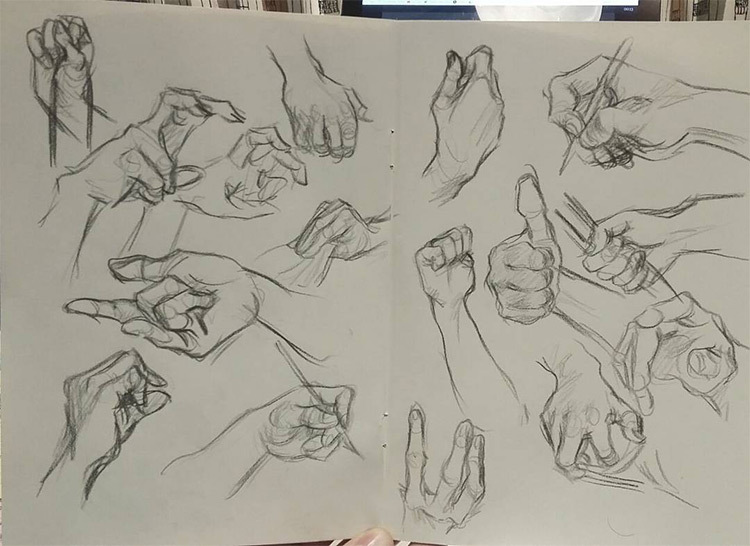 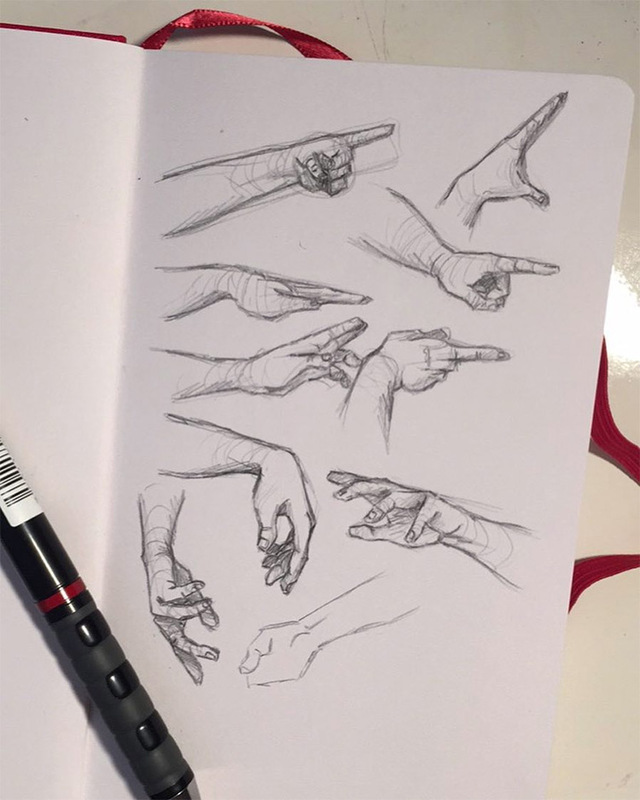 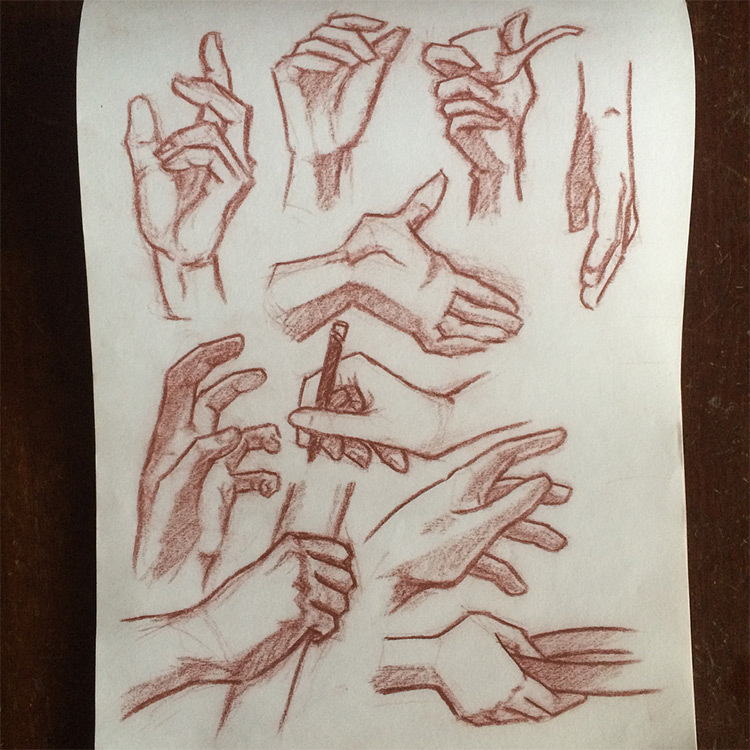 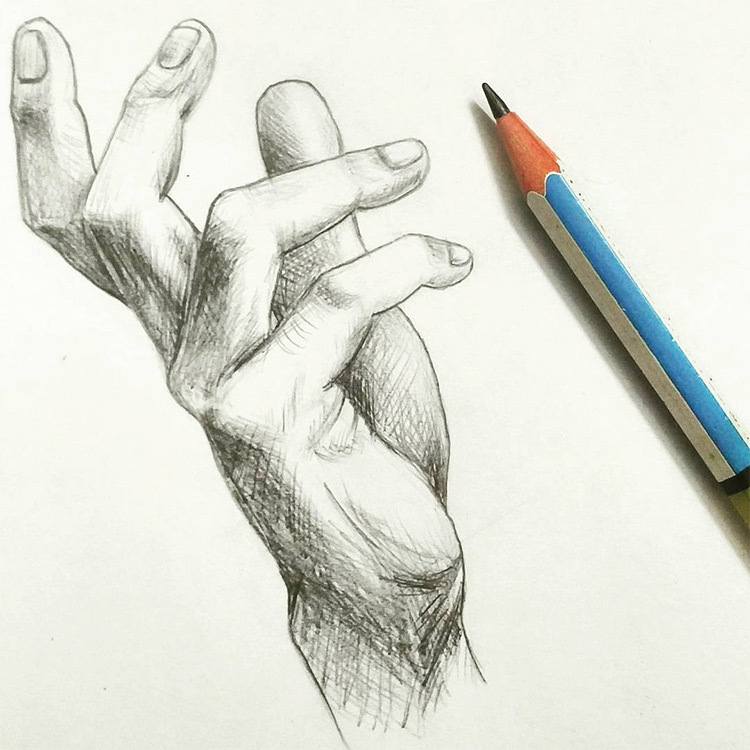 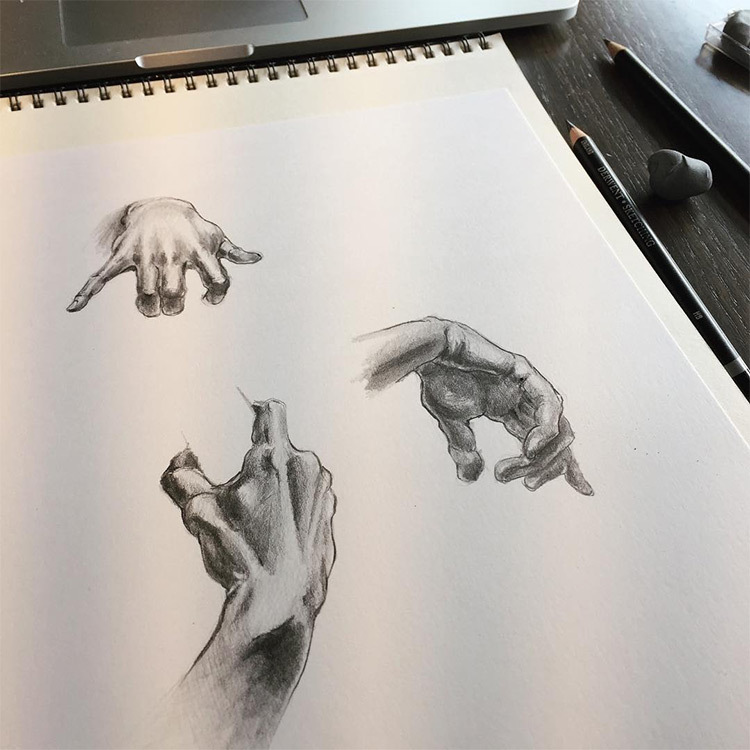 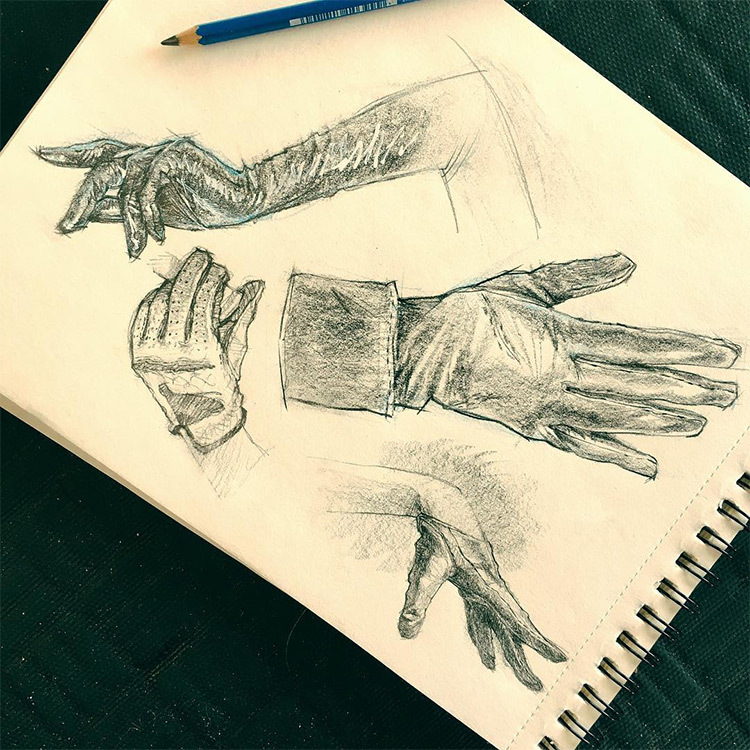 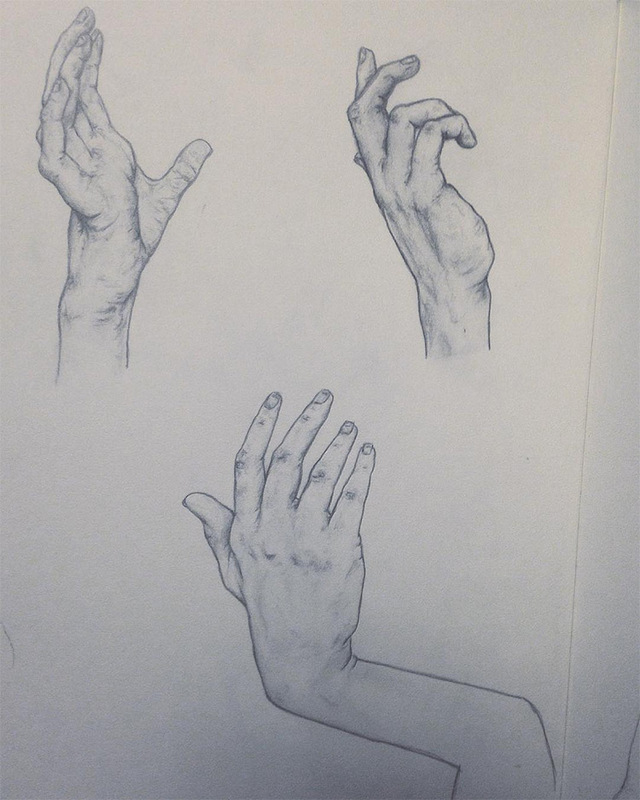 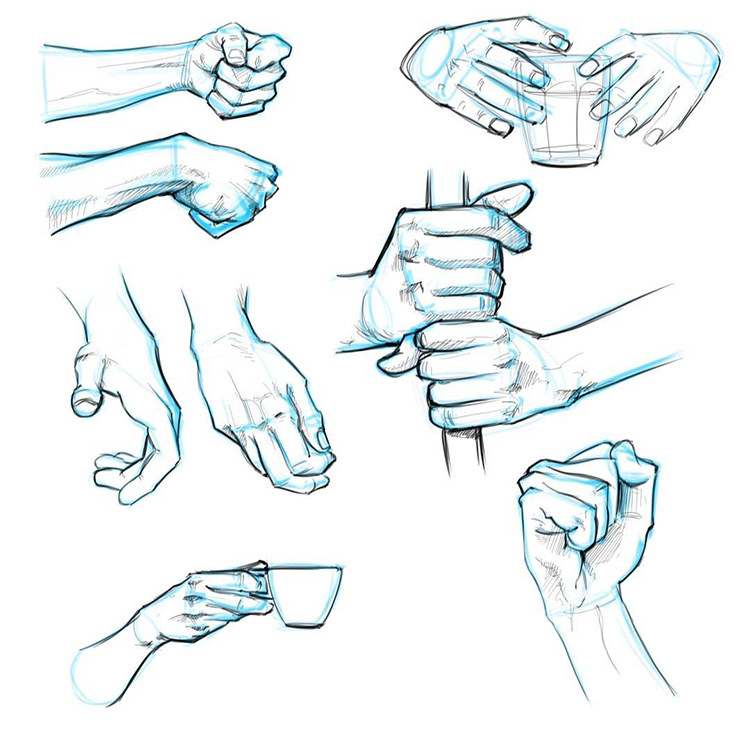 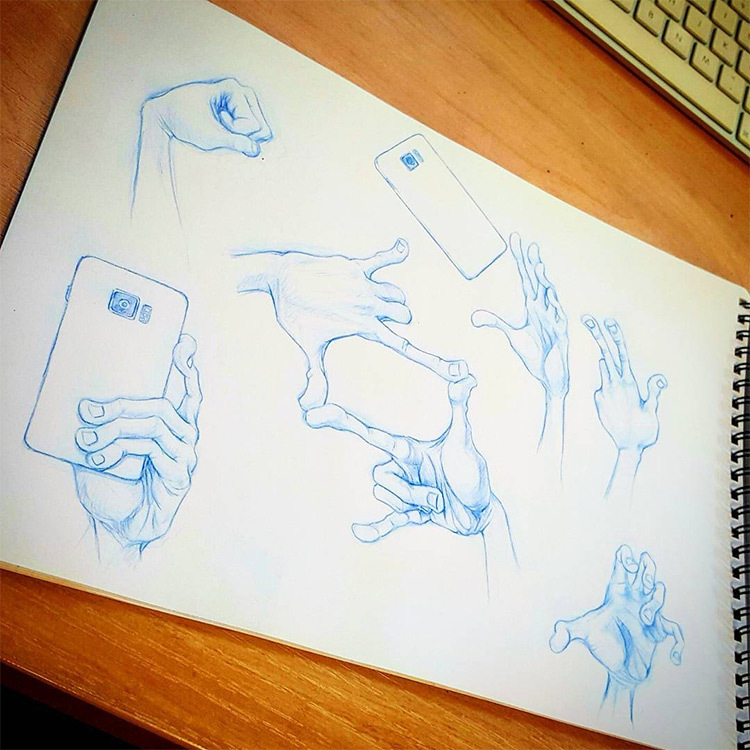 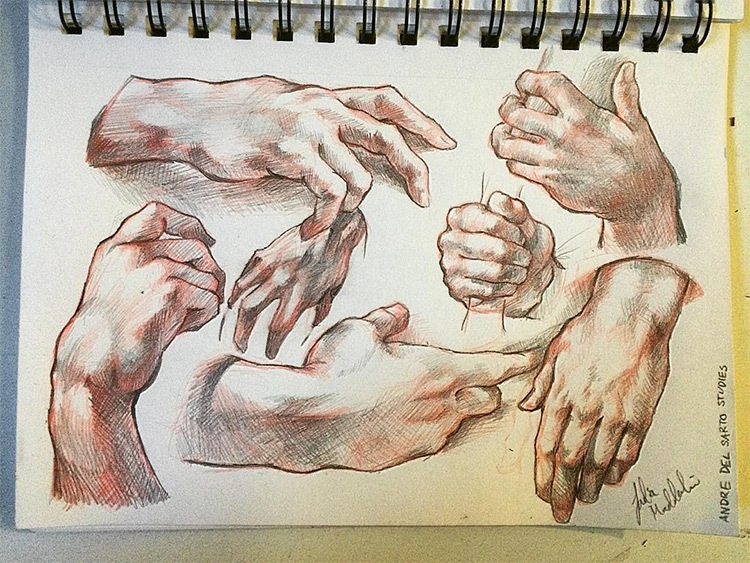 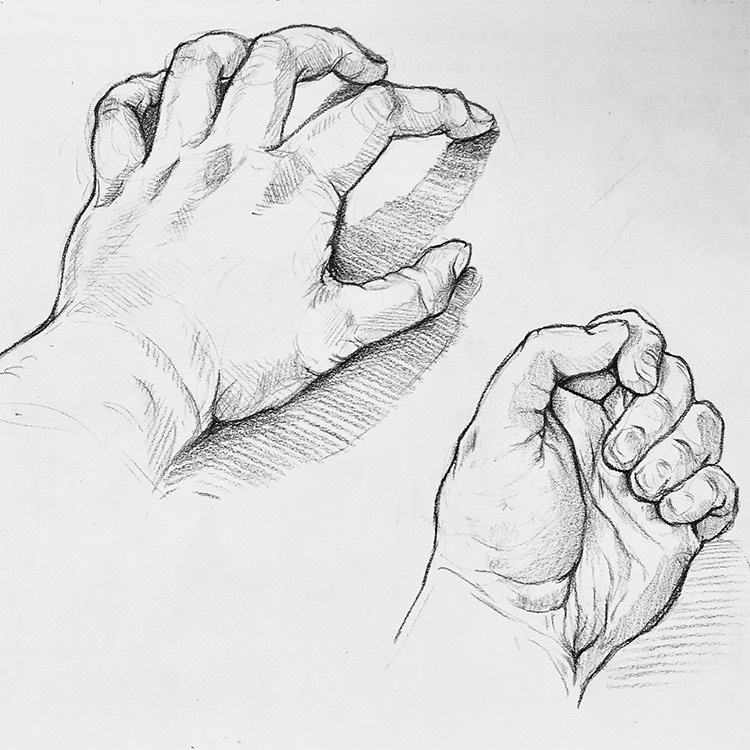 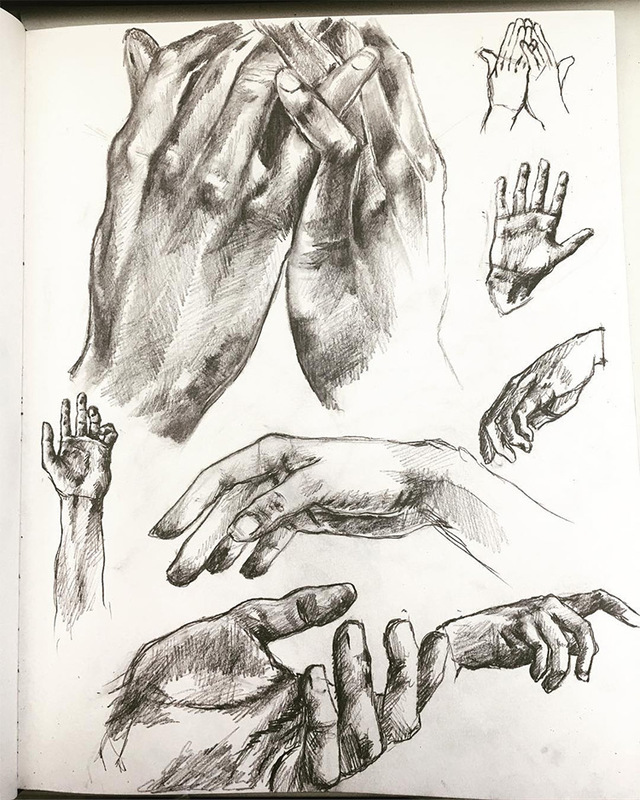 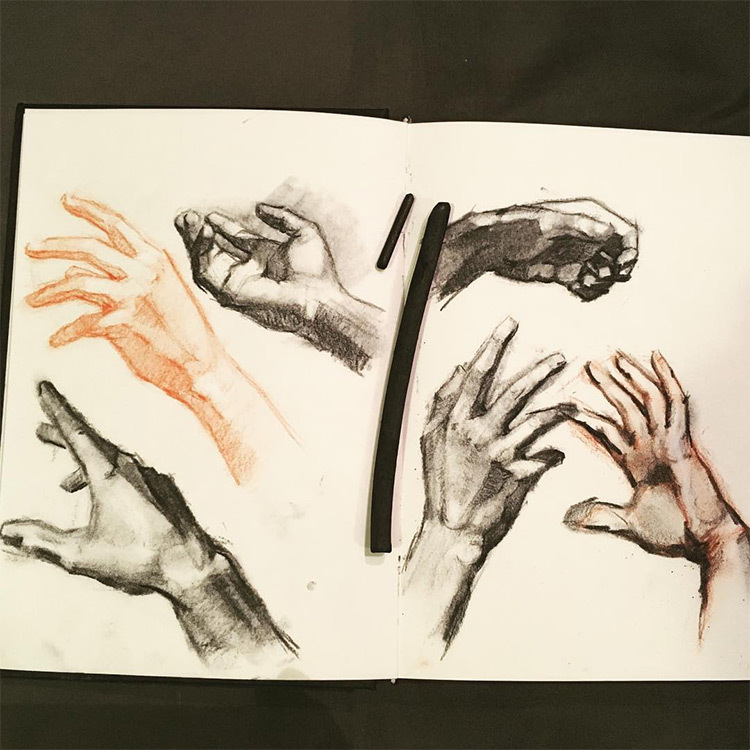 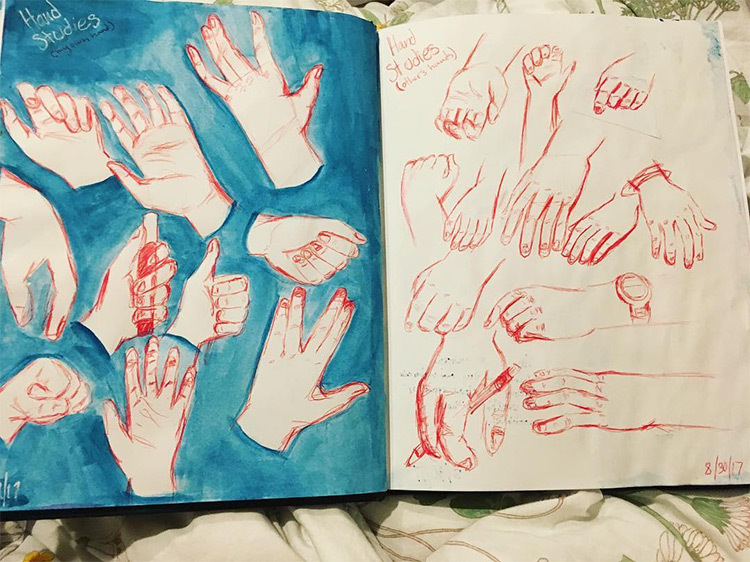 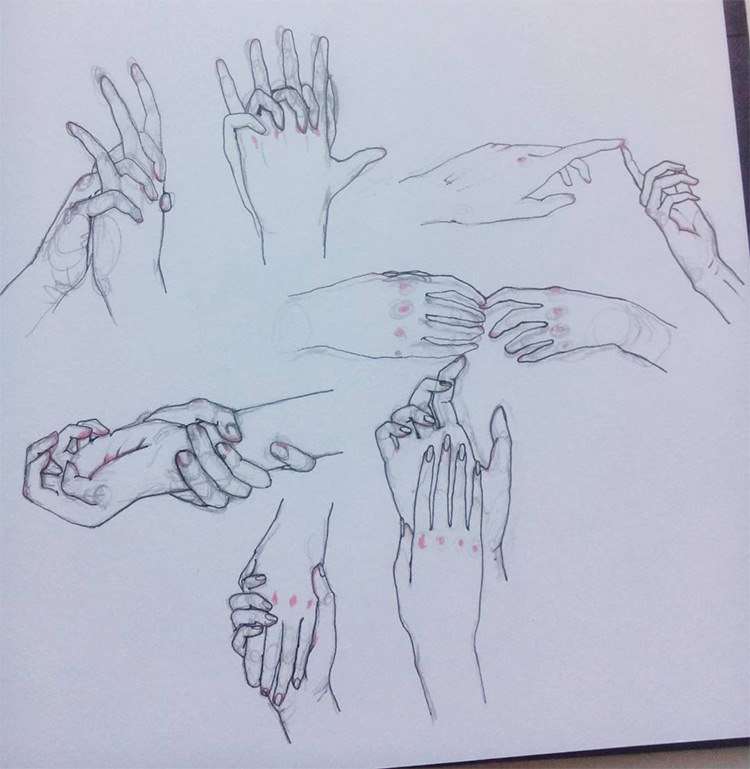 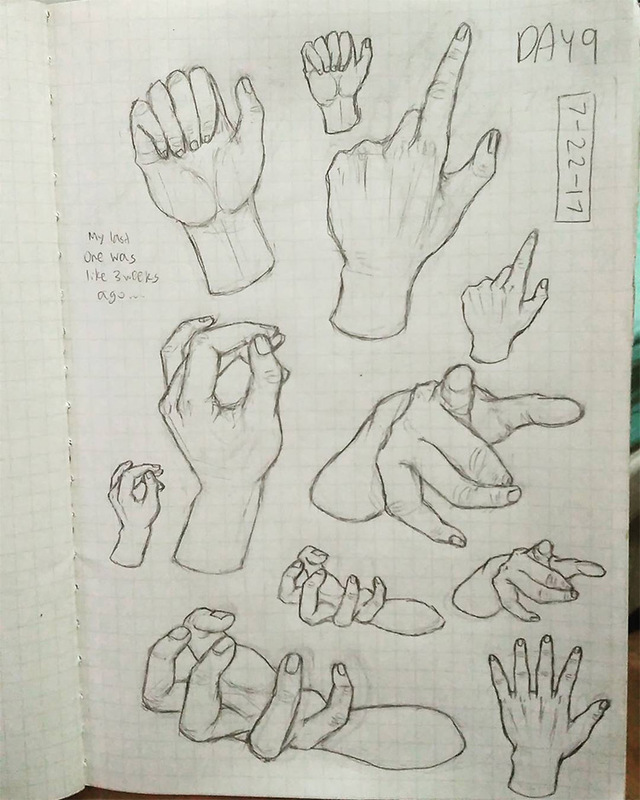 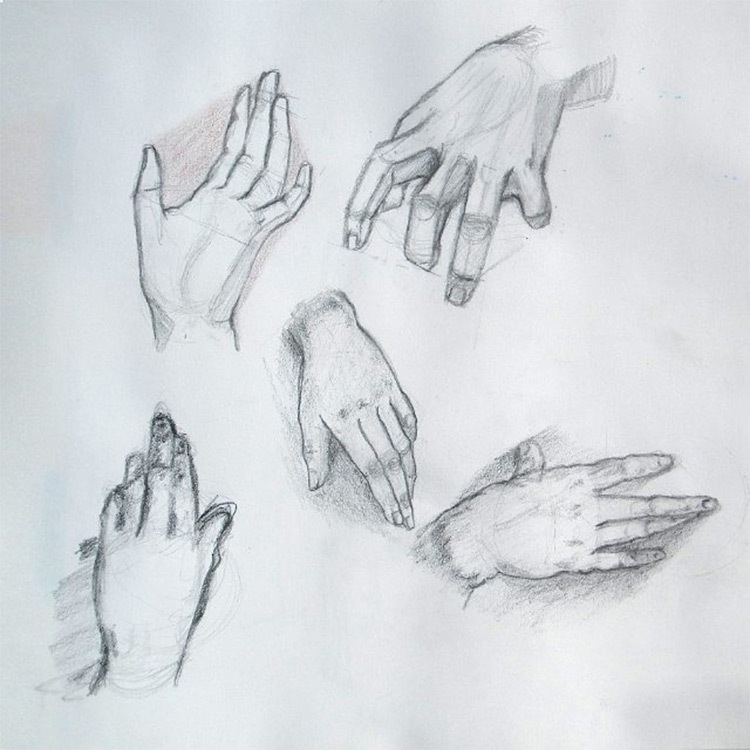 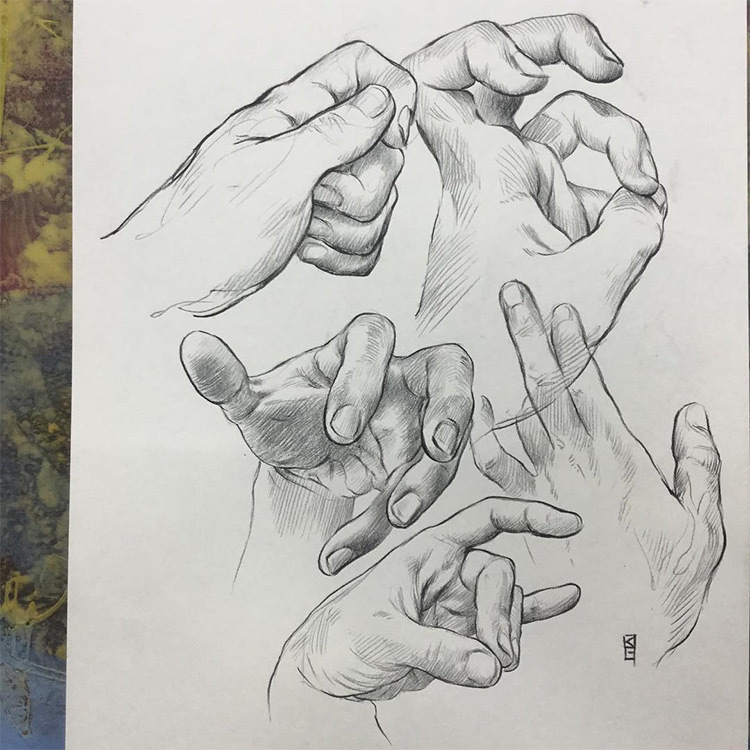 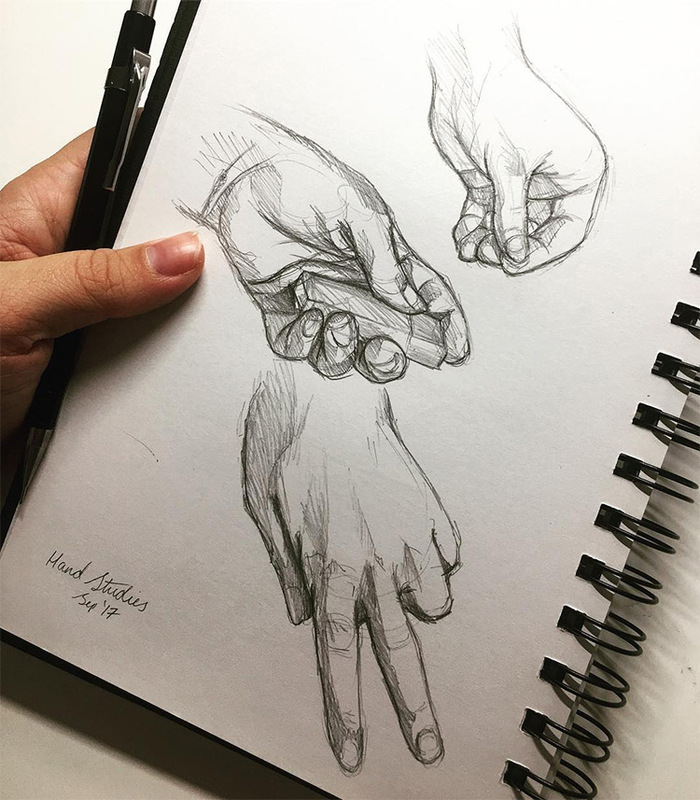 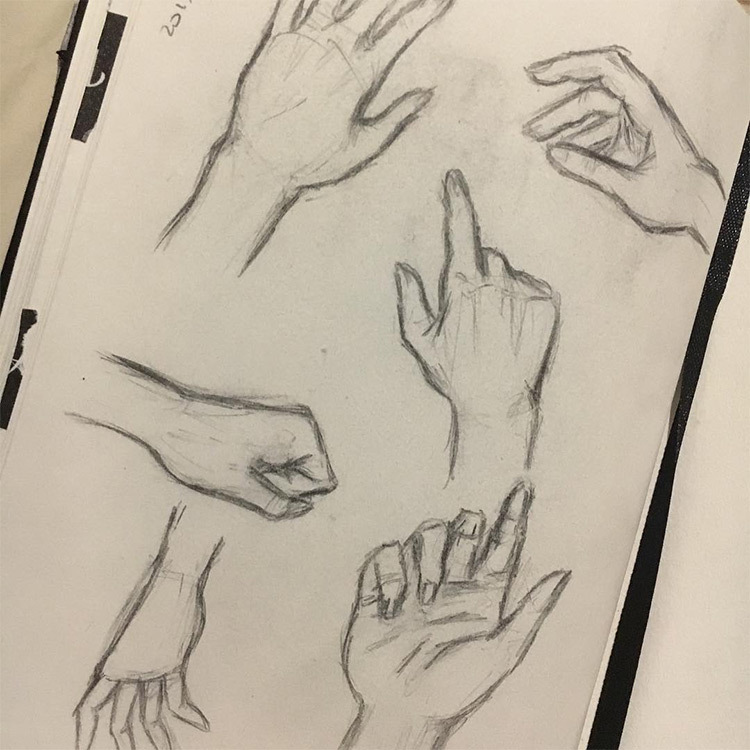 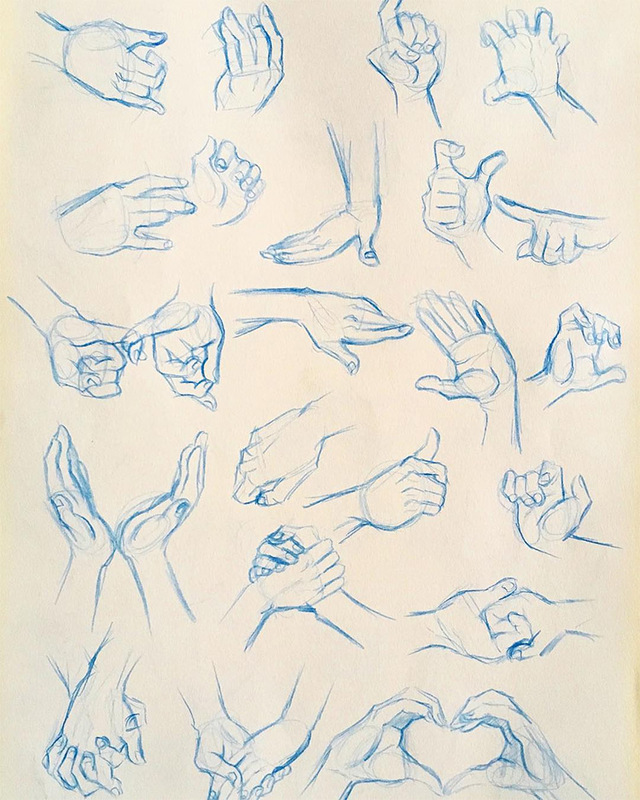 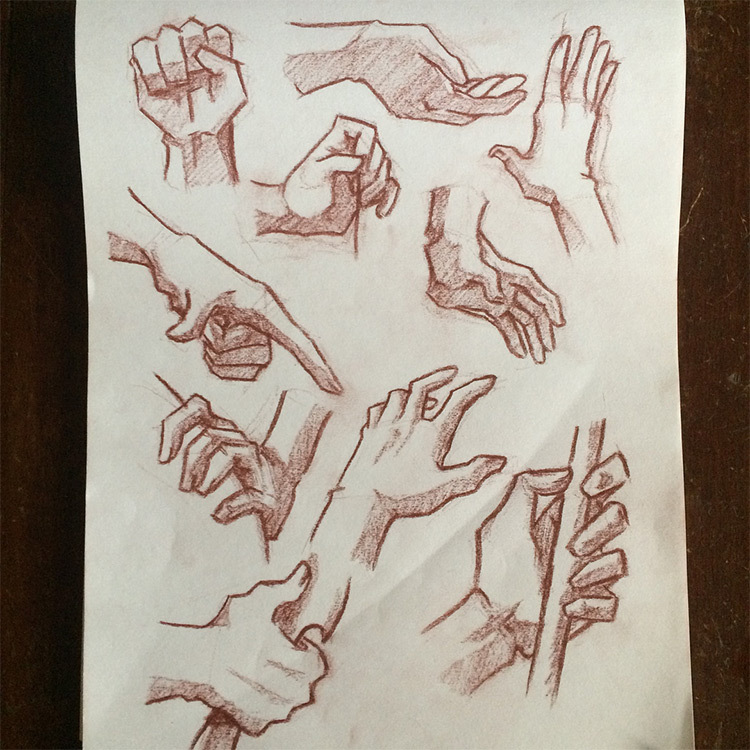 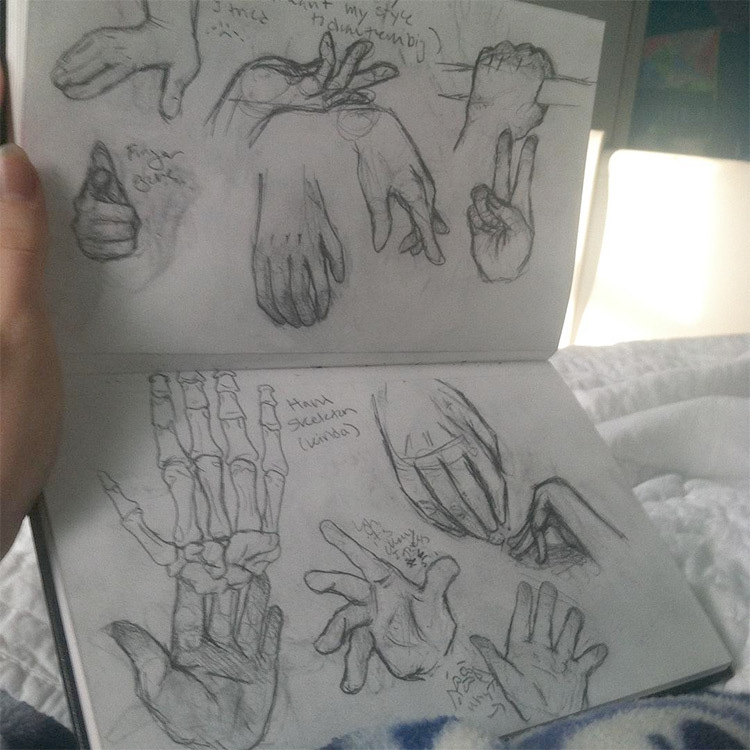 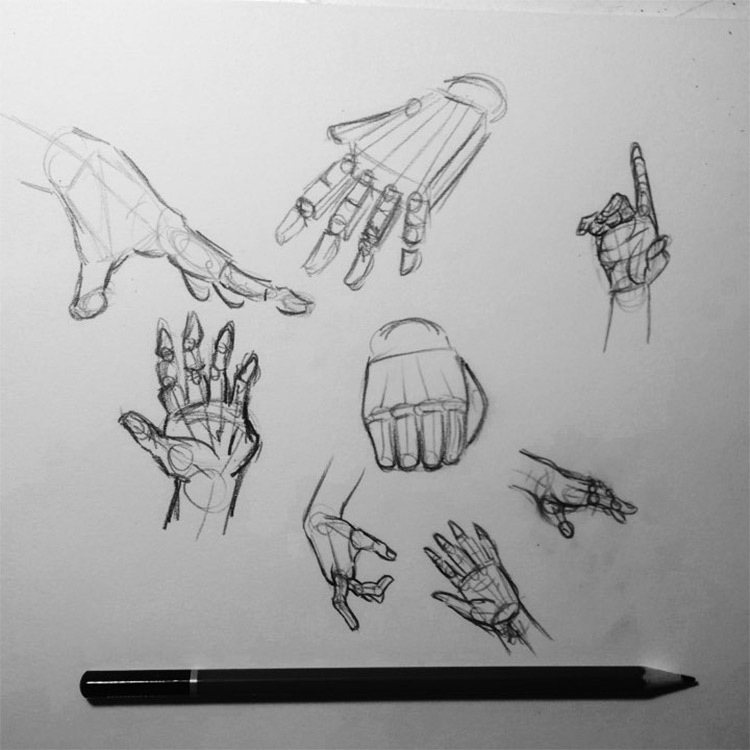 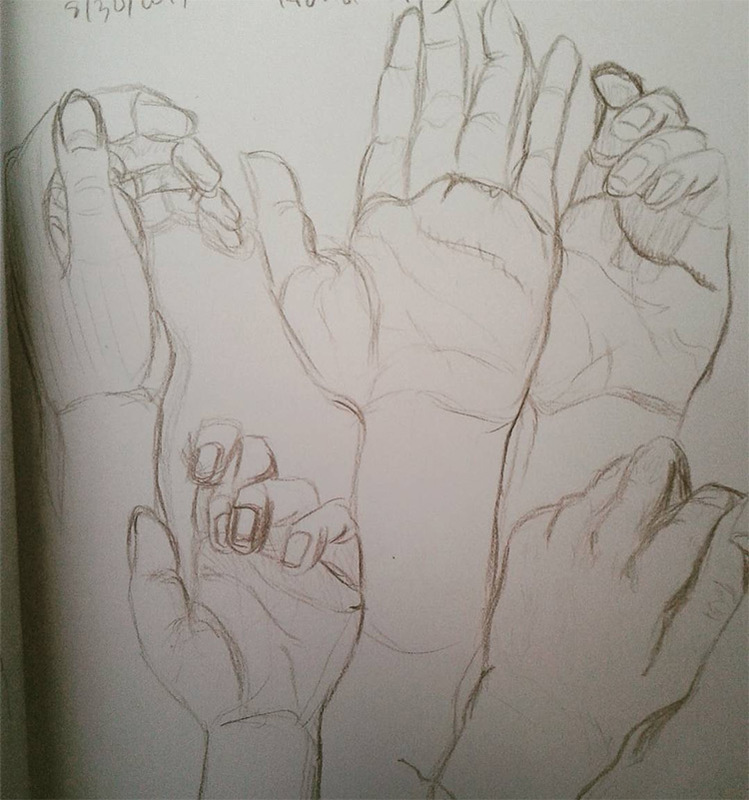 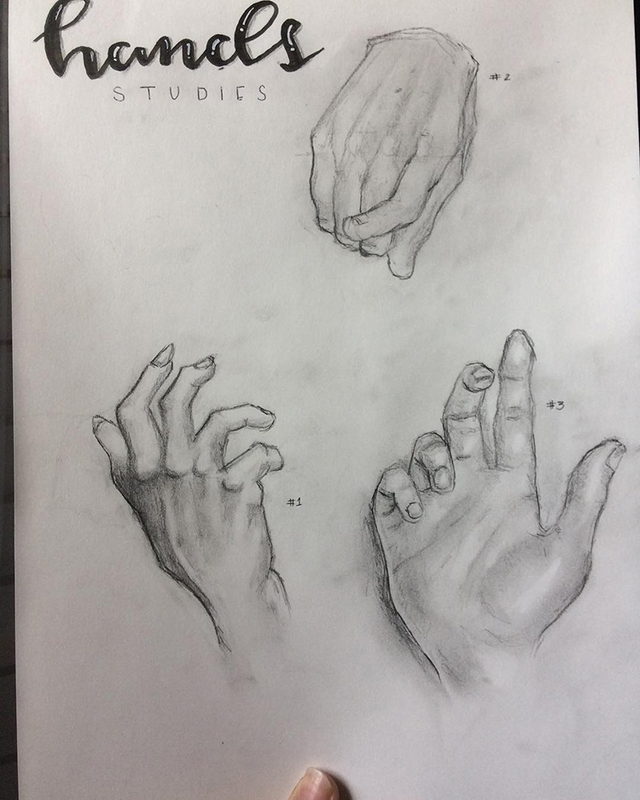 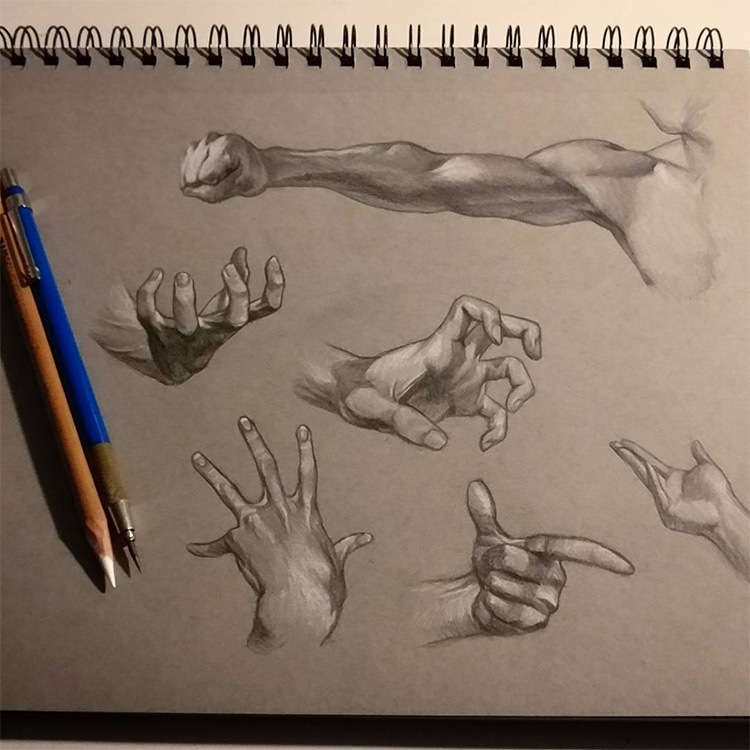 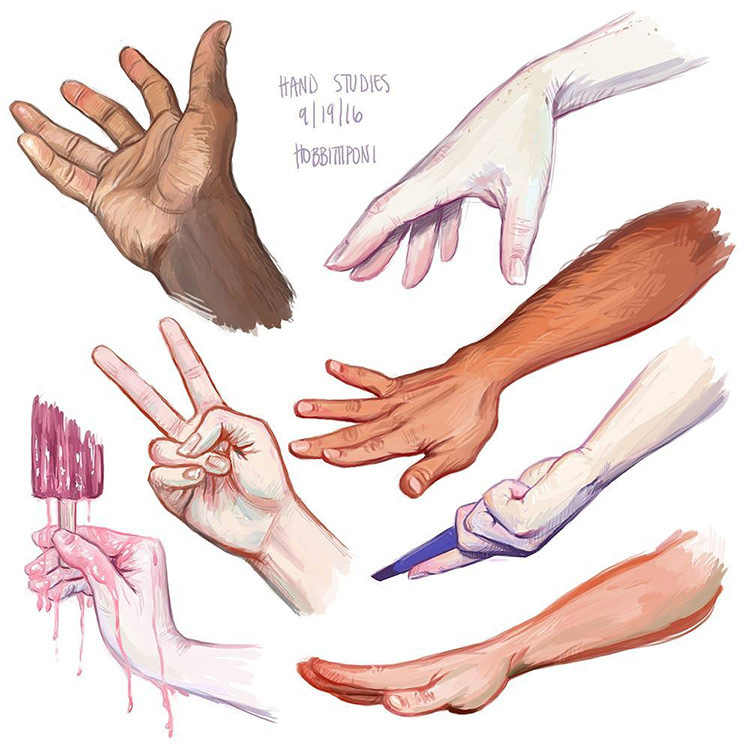 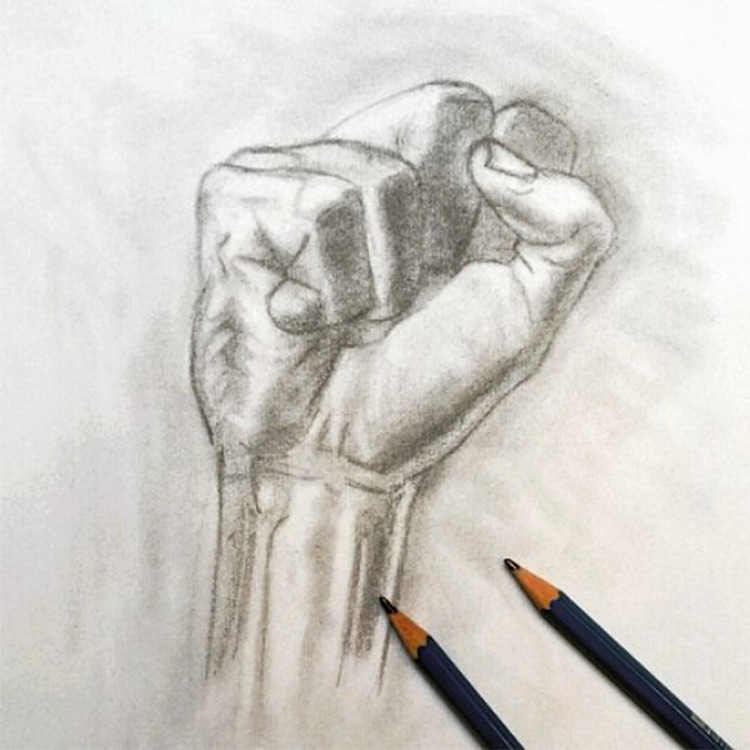 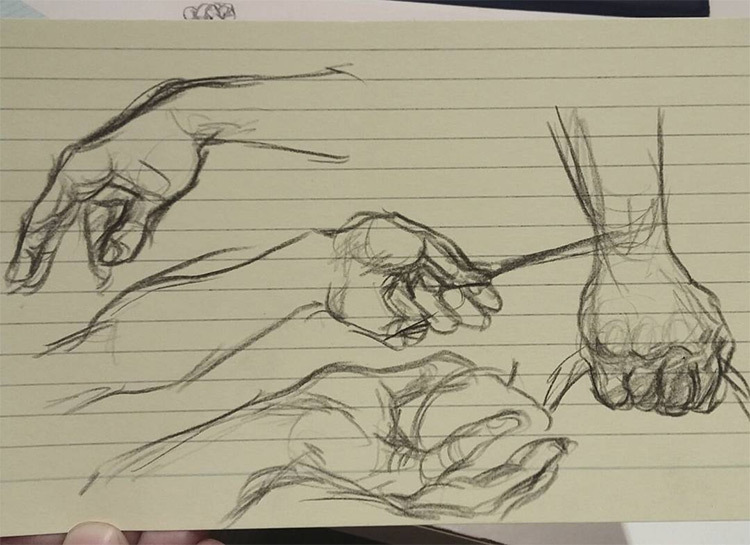 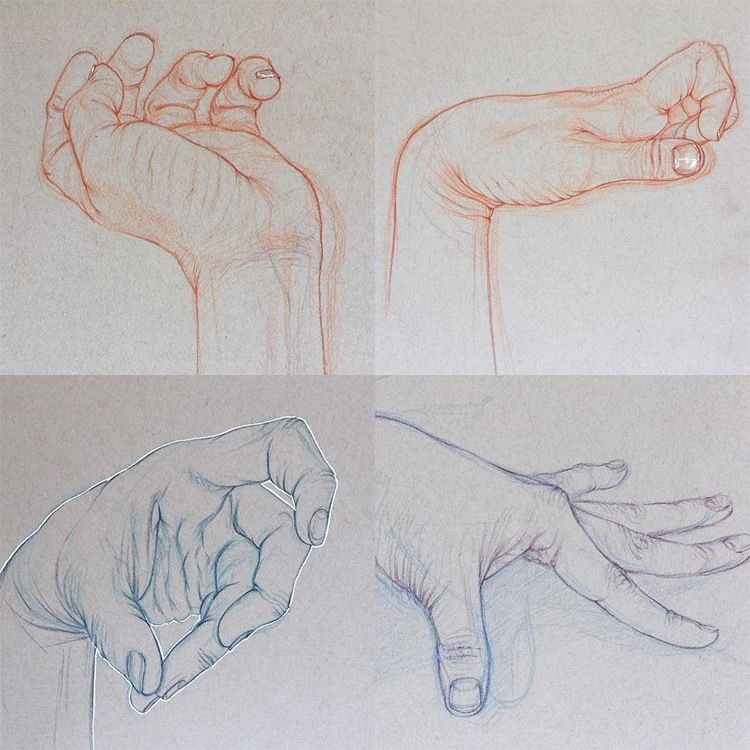 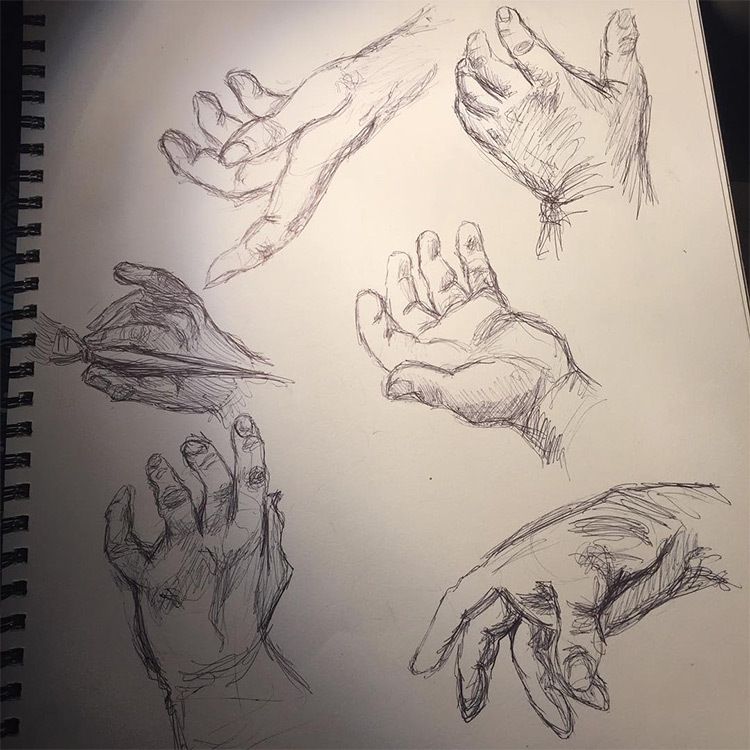 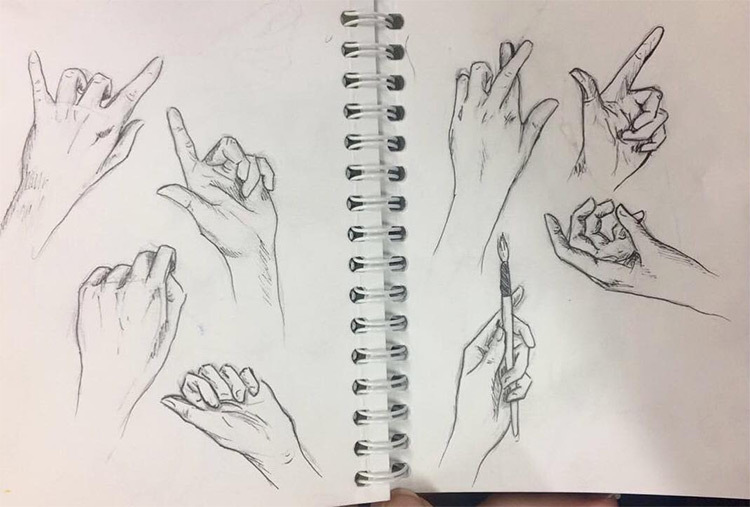 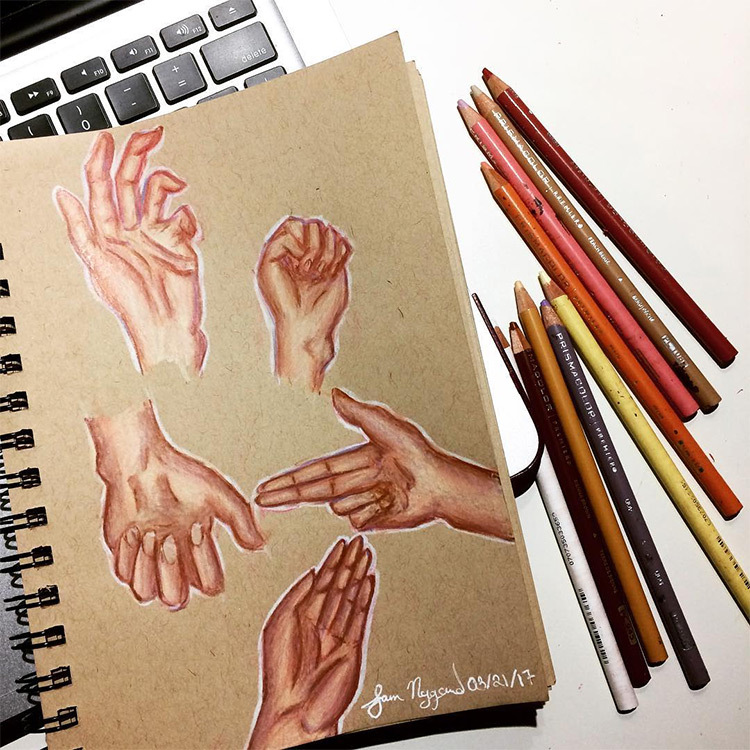 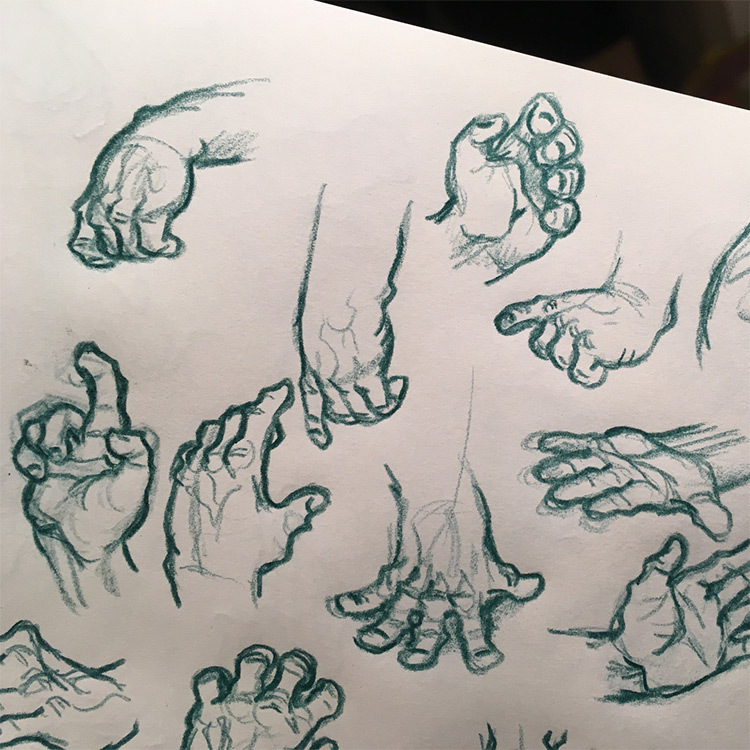 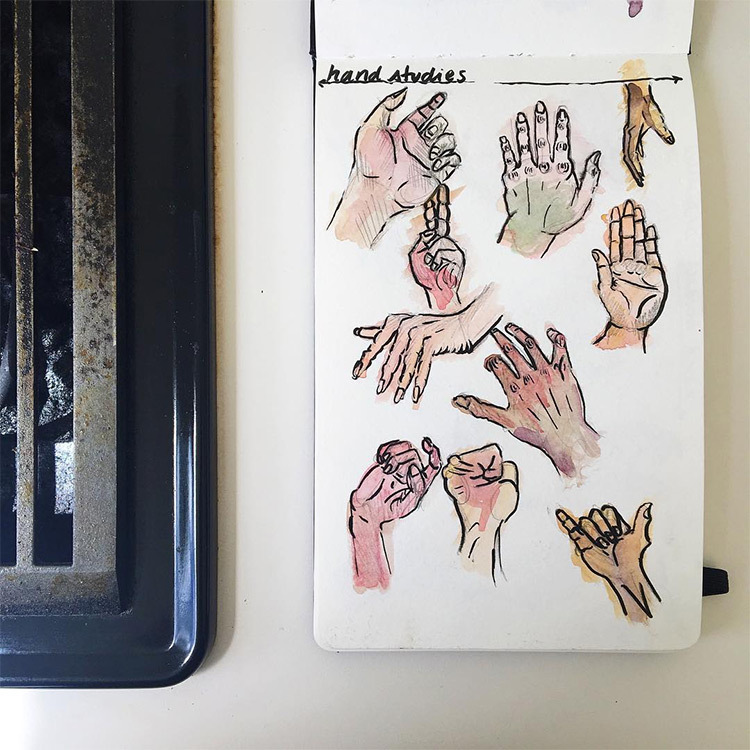 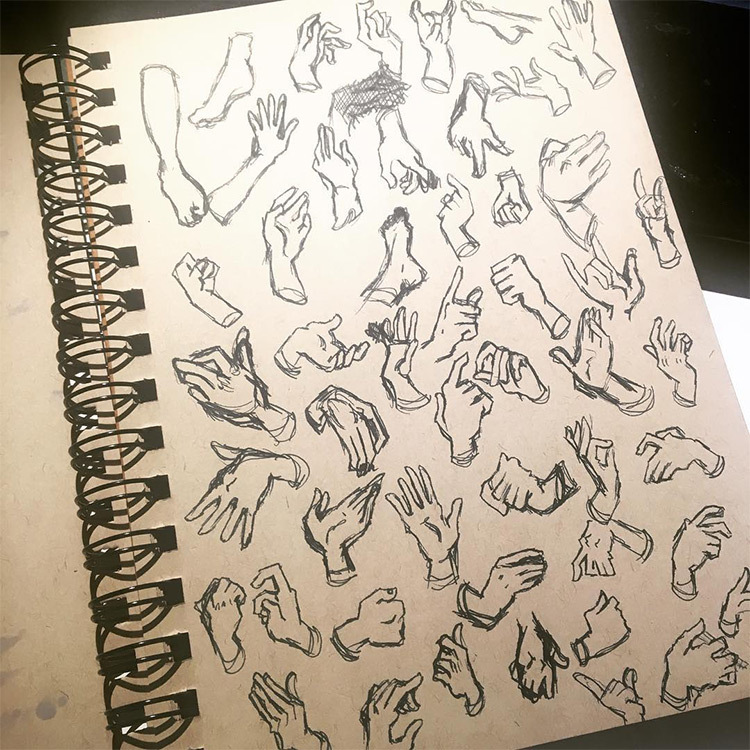 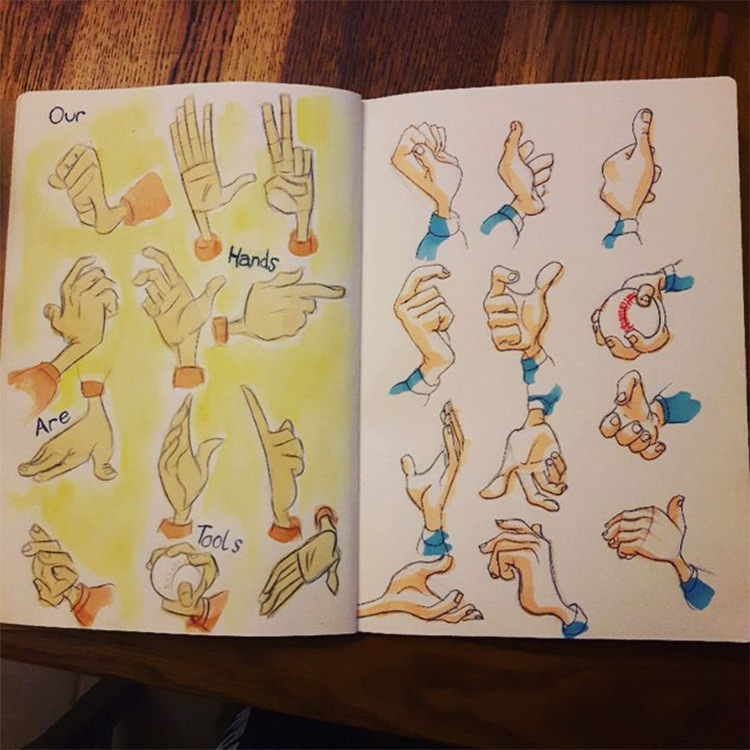 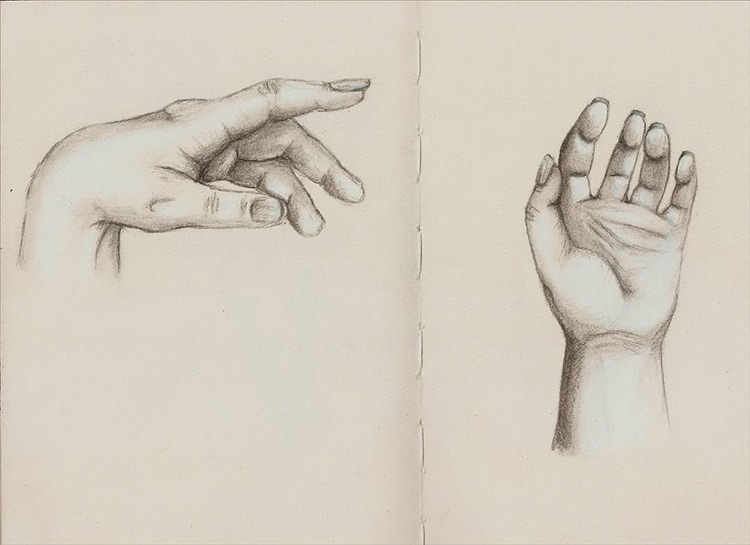 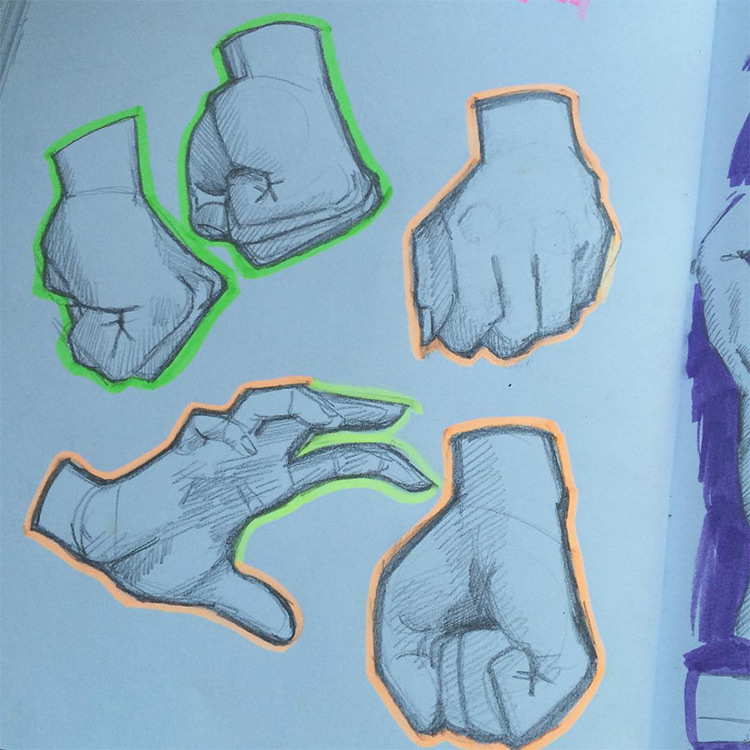 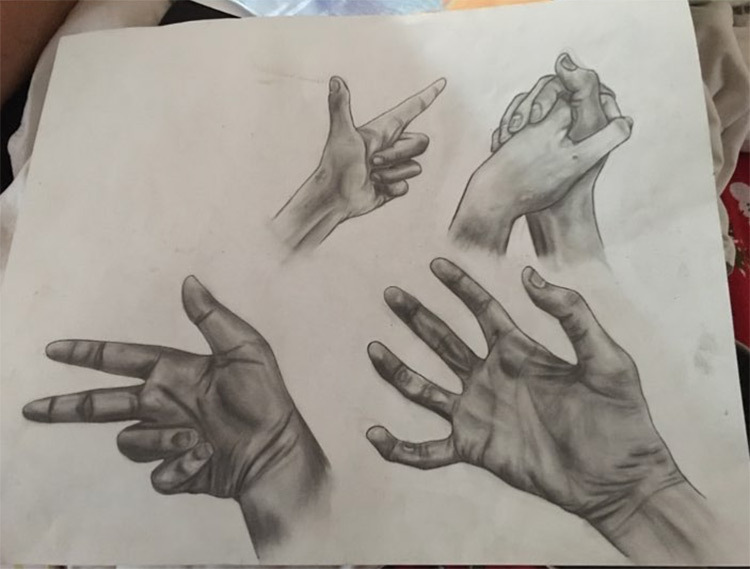 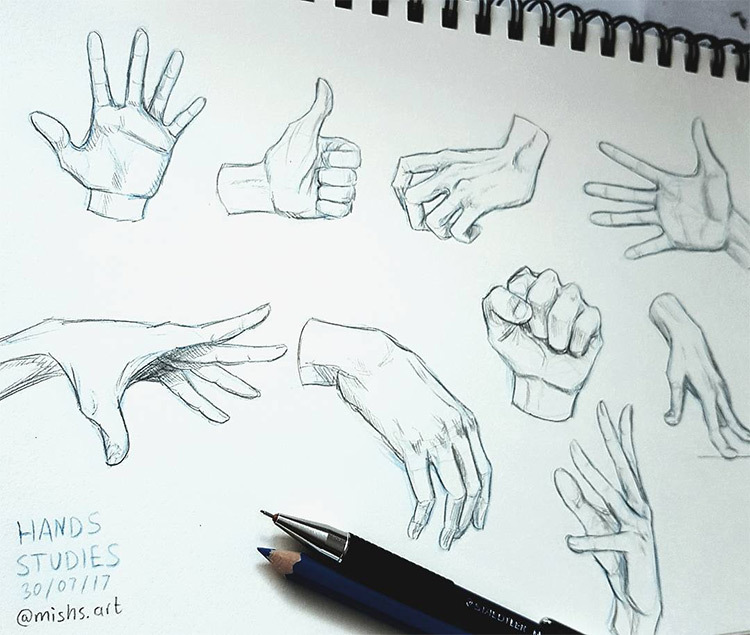 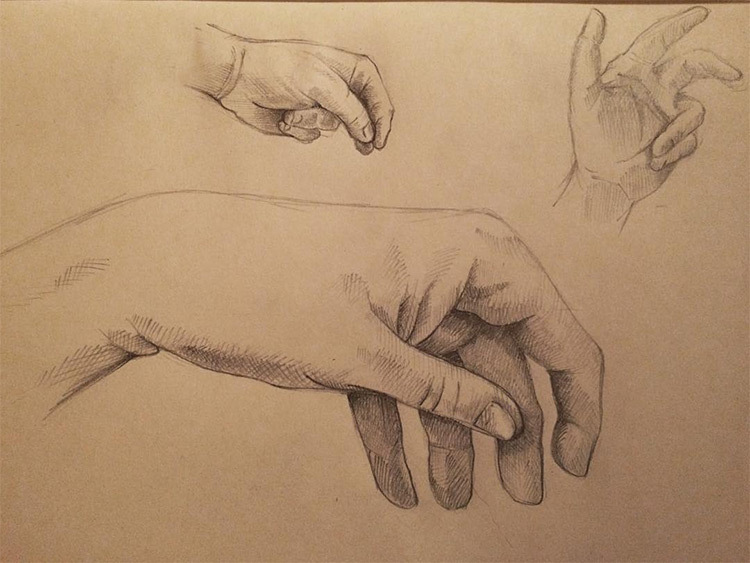 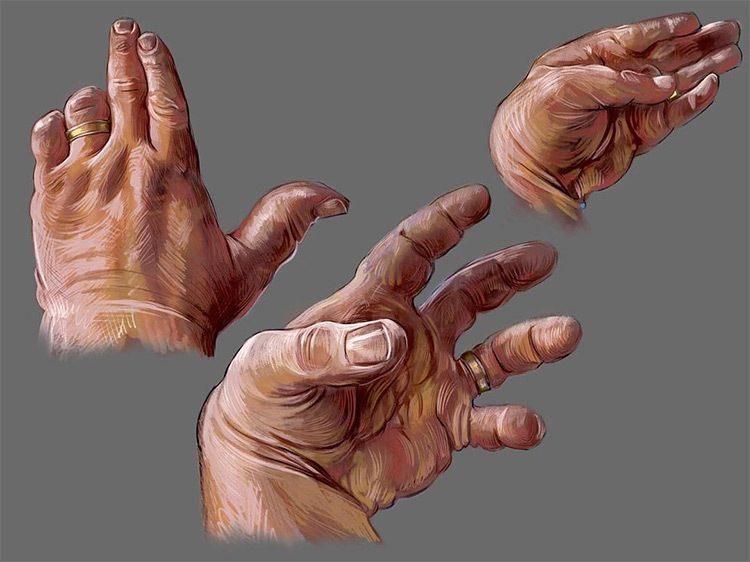 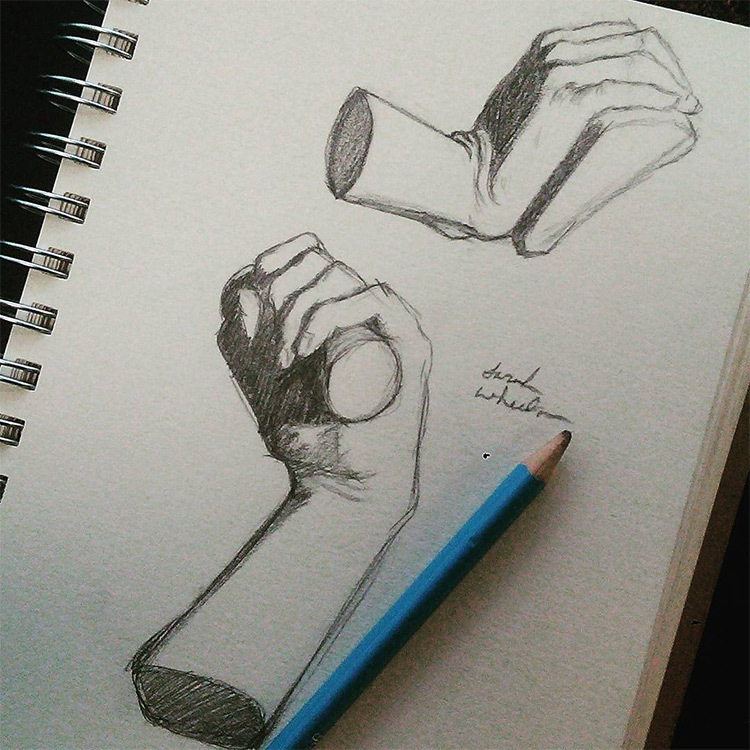 This gallery features over 100 unique hand studies from quick sketches in sketchbooks to more detailed finished pieces. 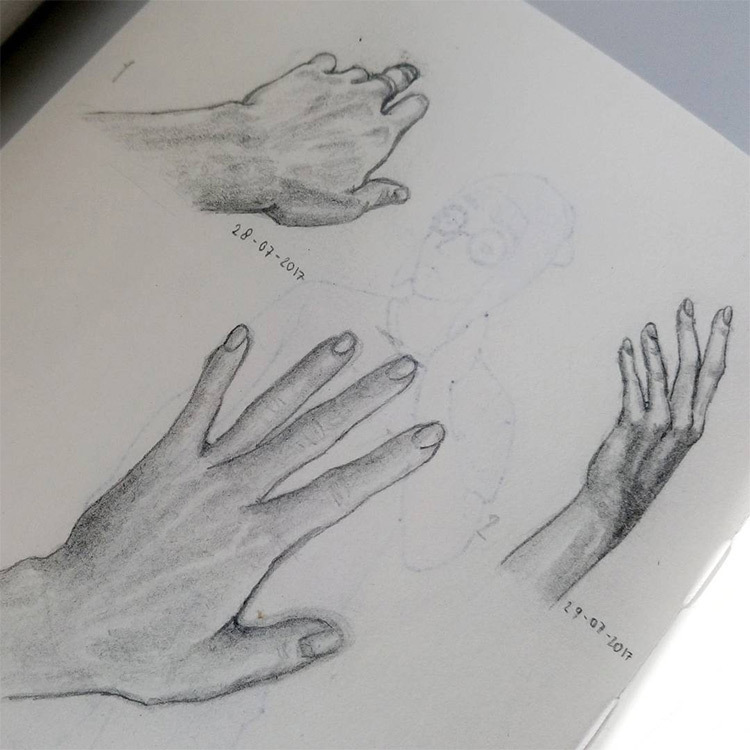 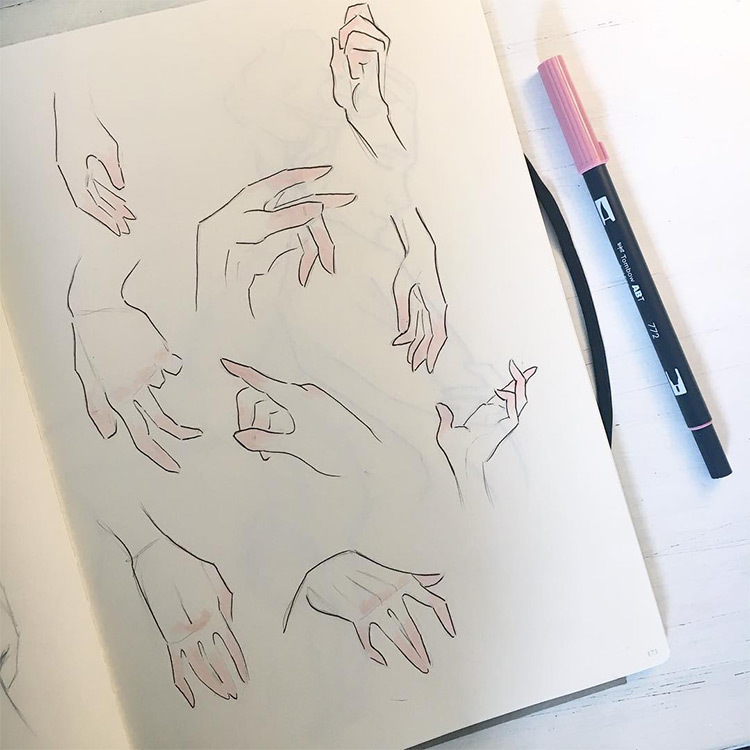 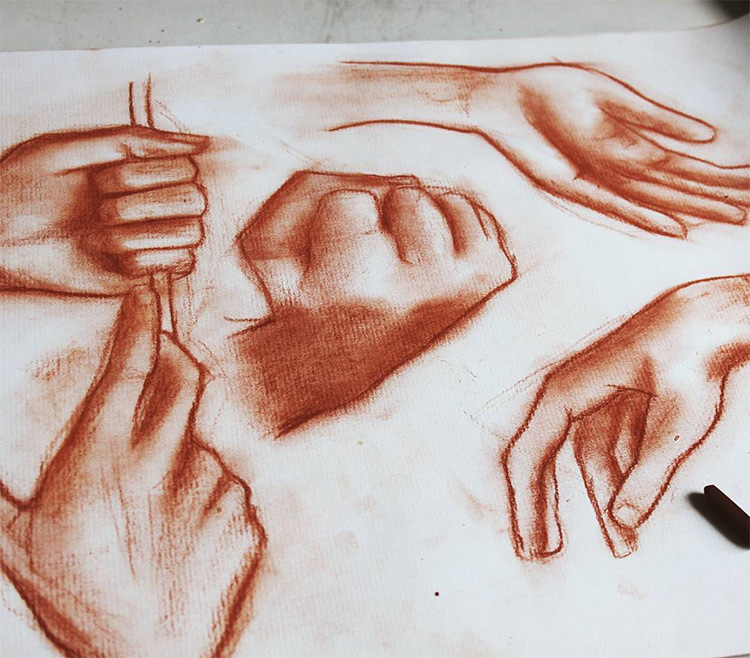 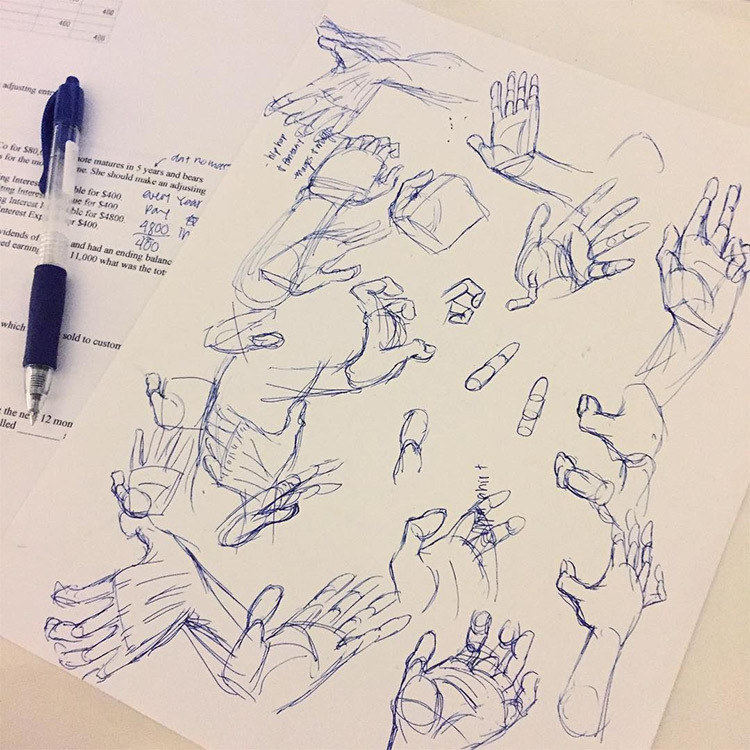 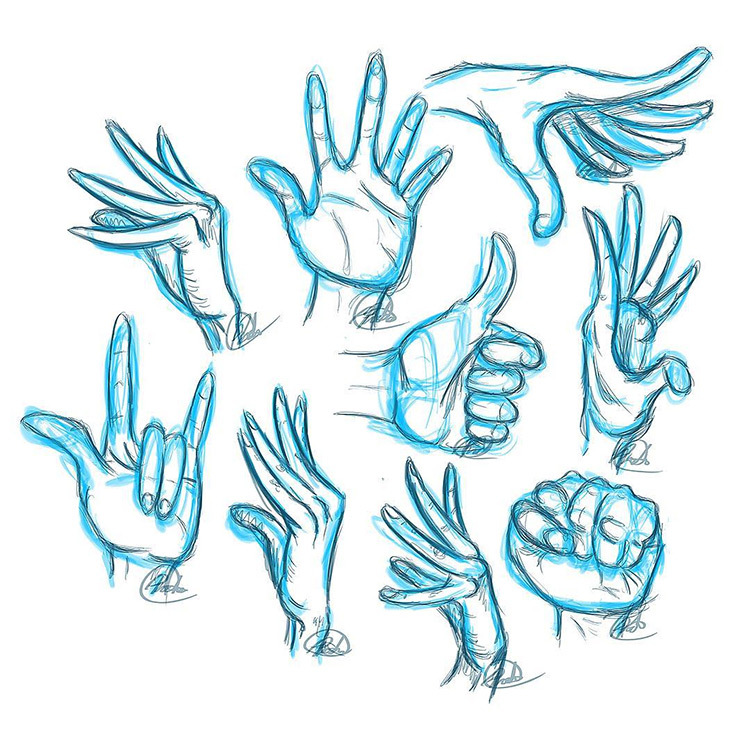 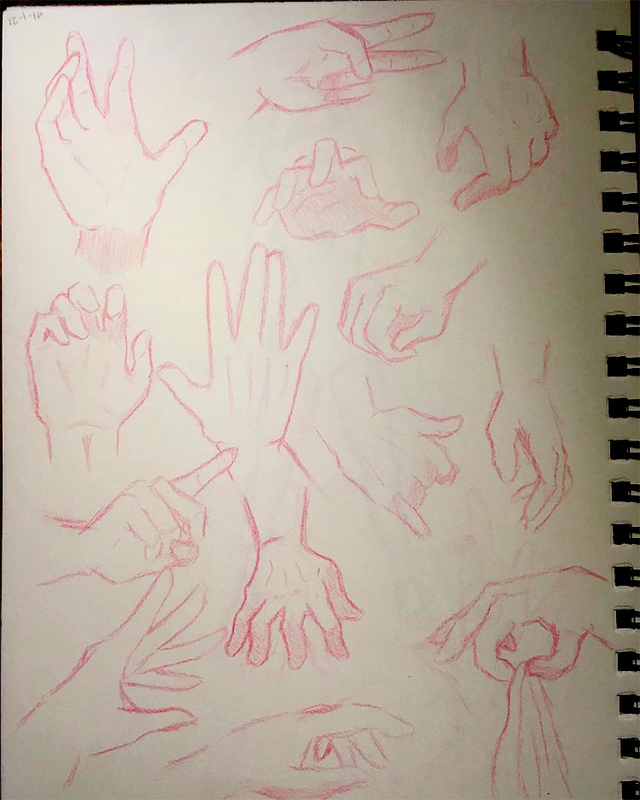 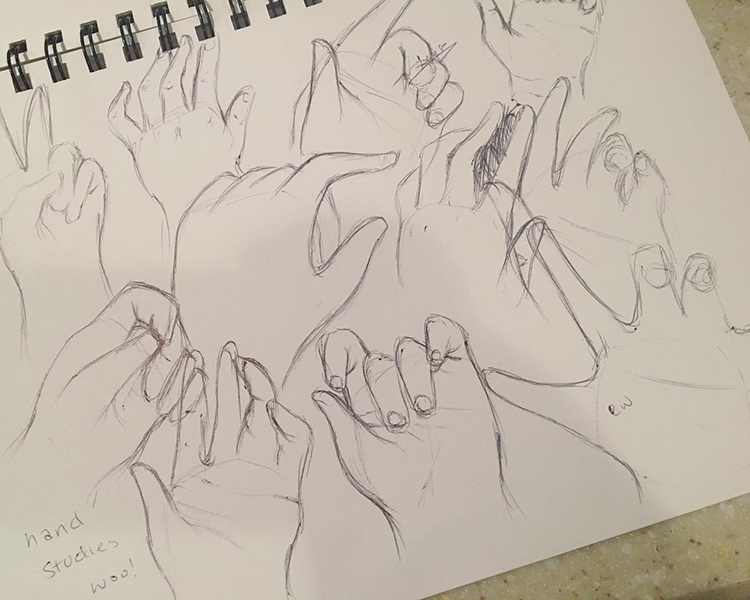 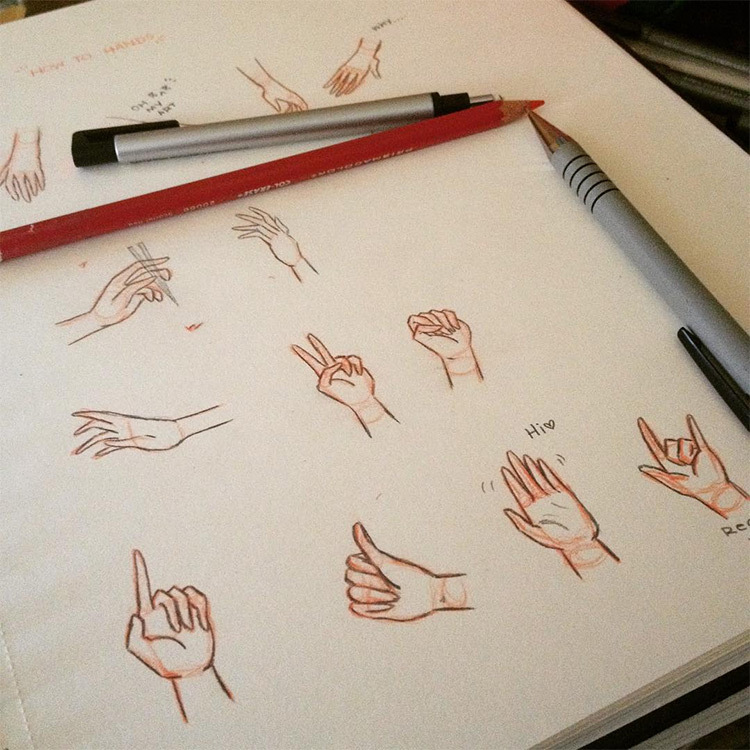 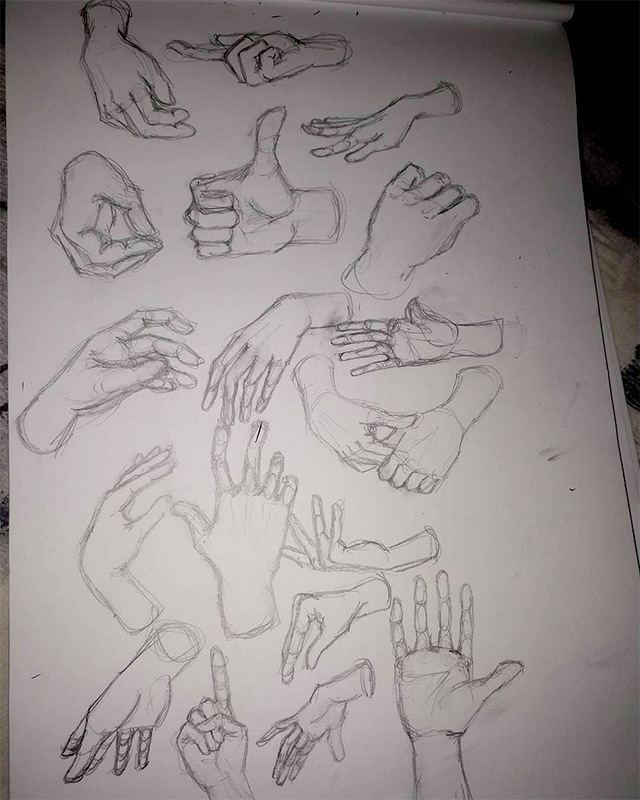 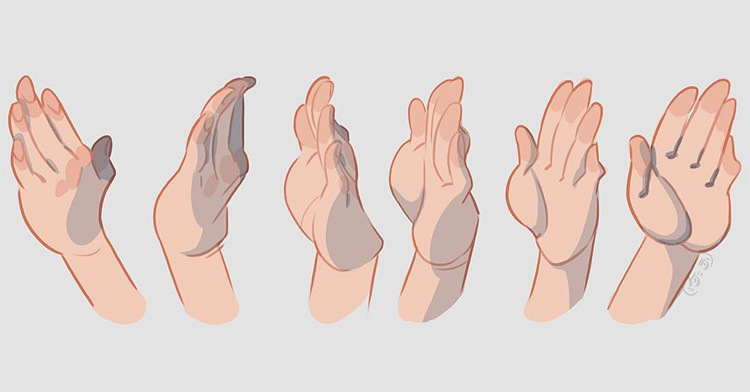 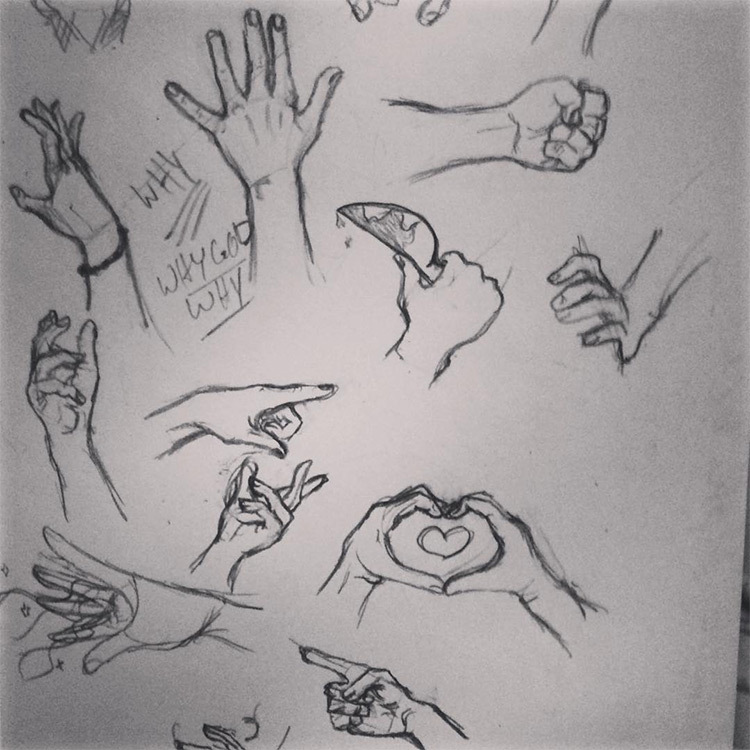 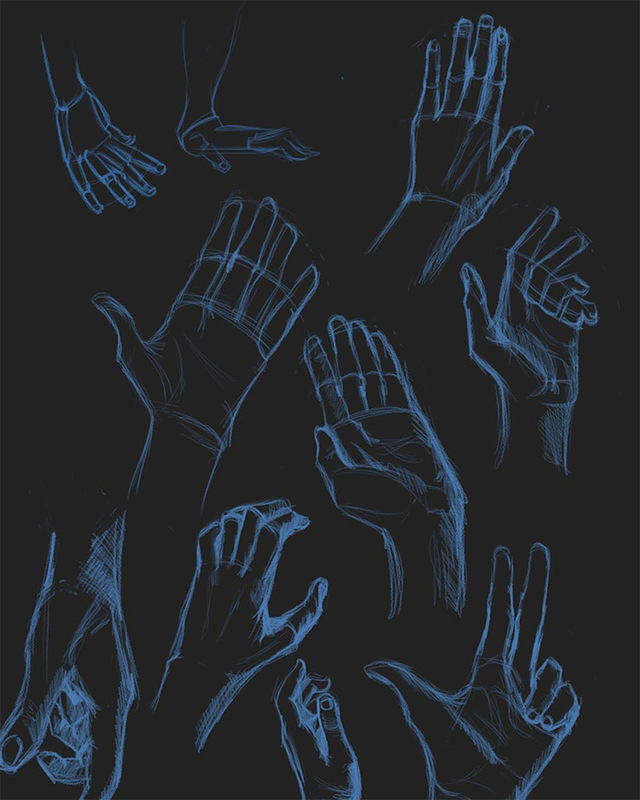 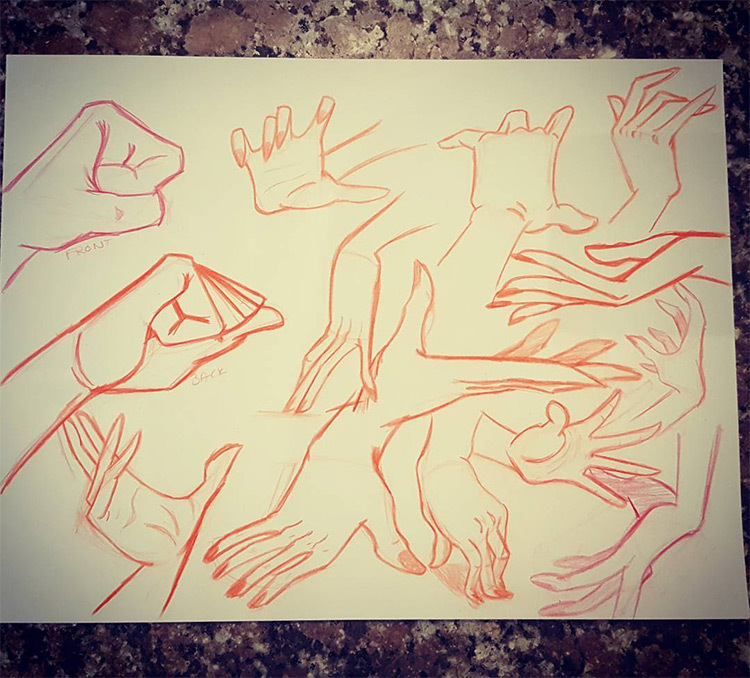 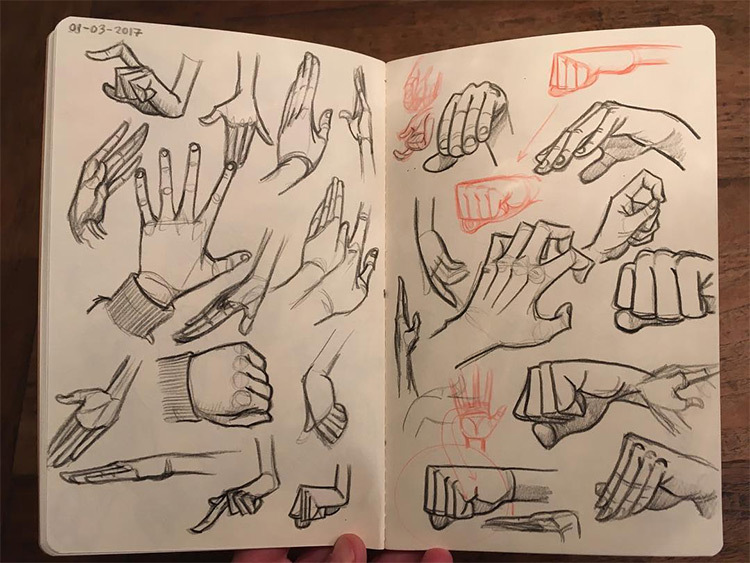 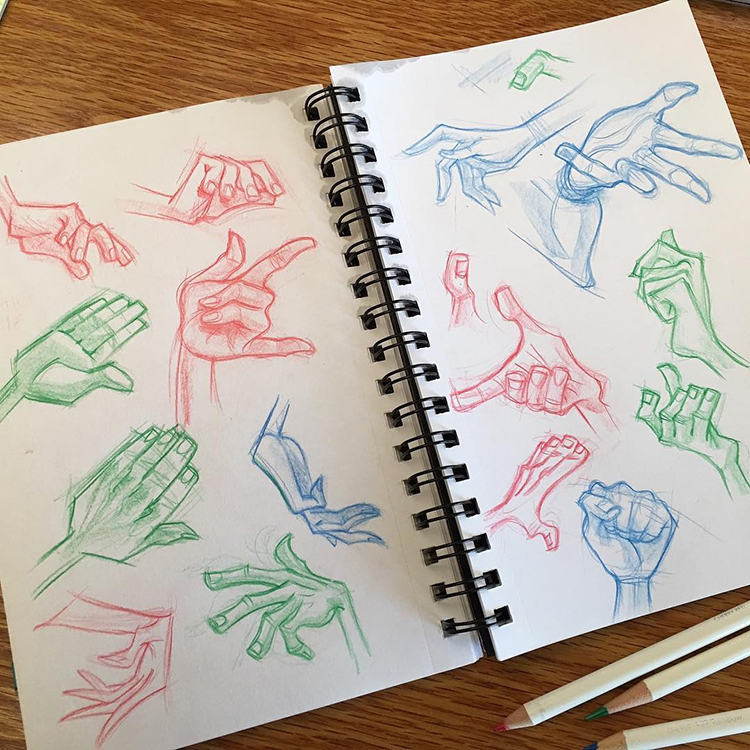 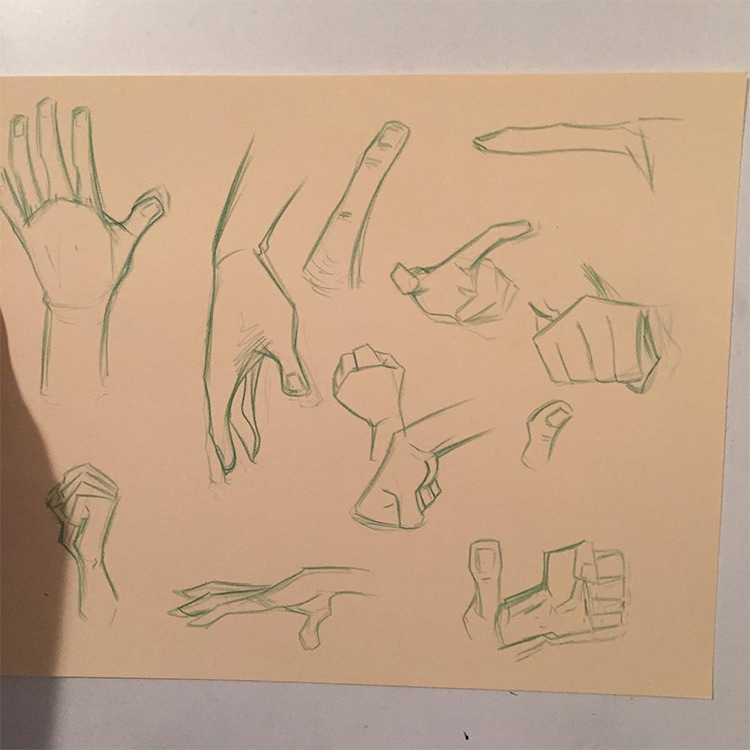 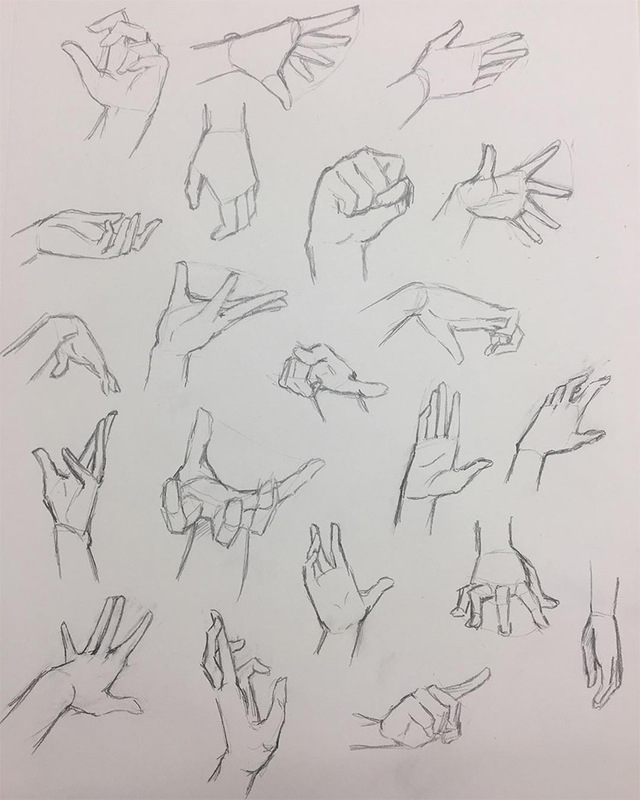 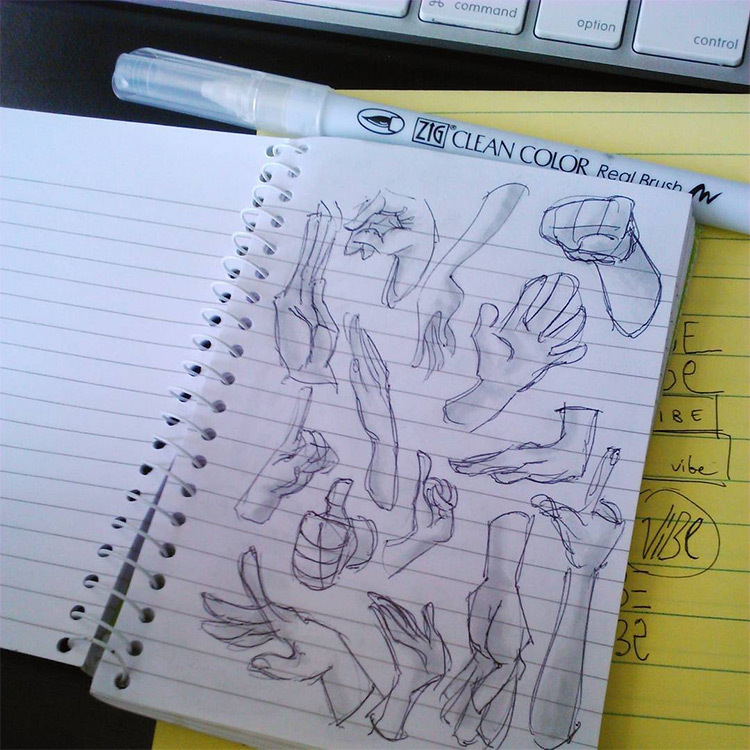 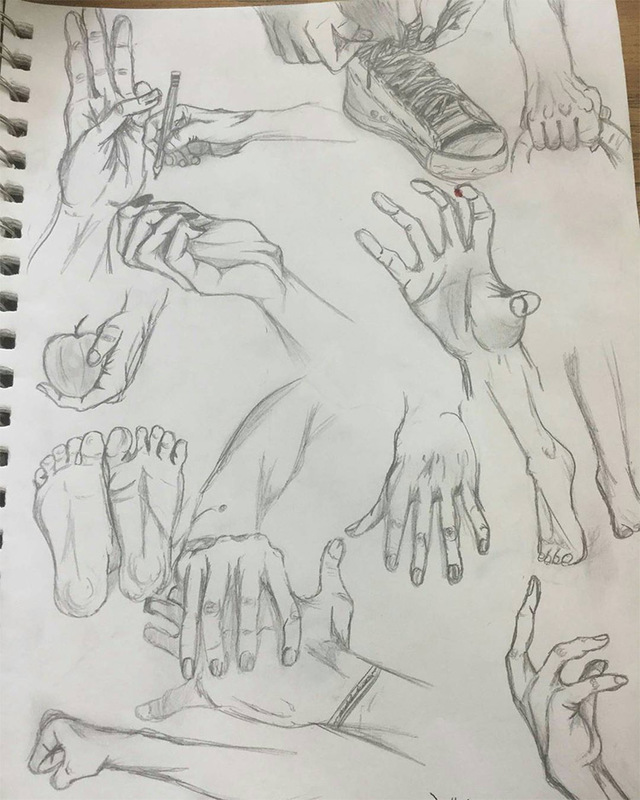 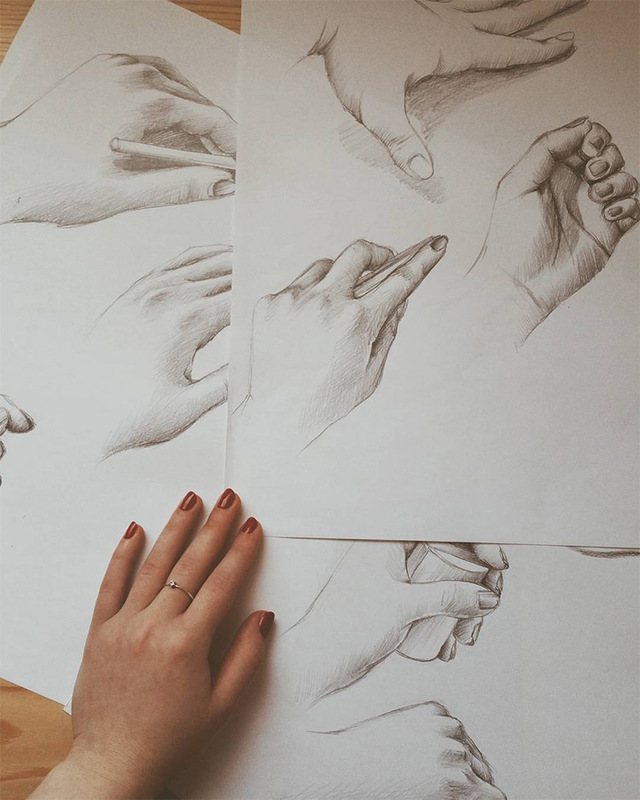 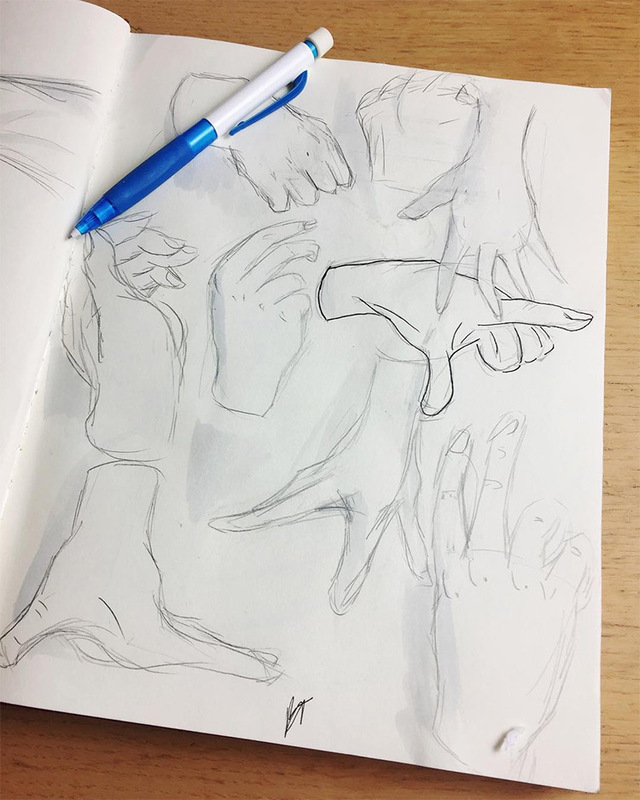 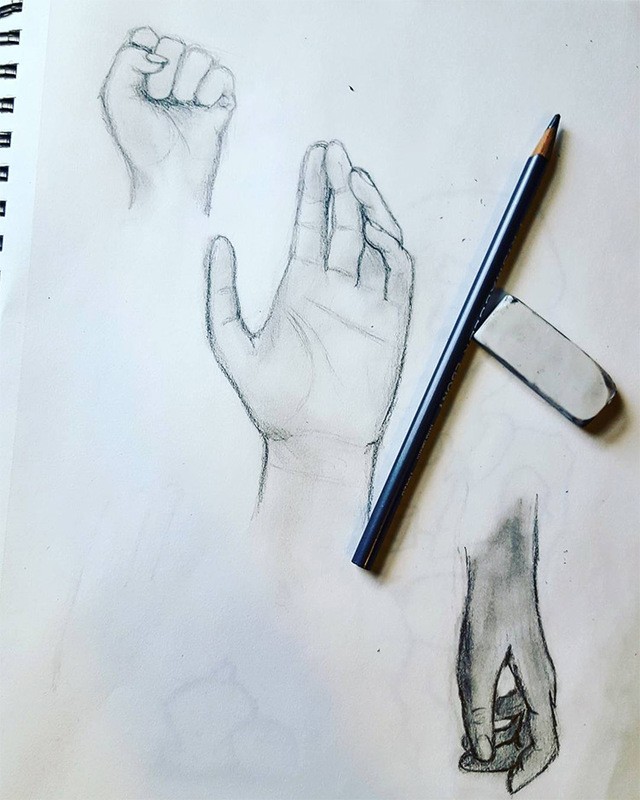 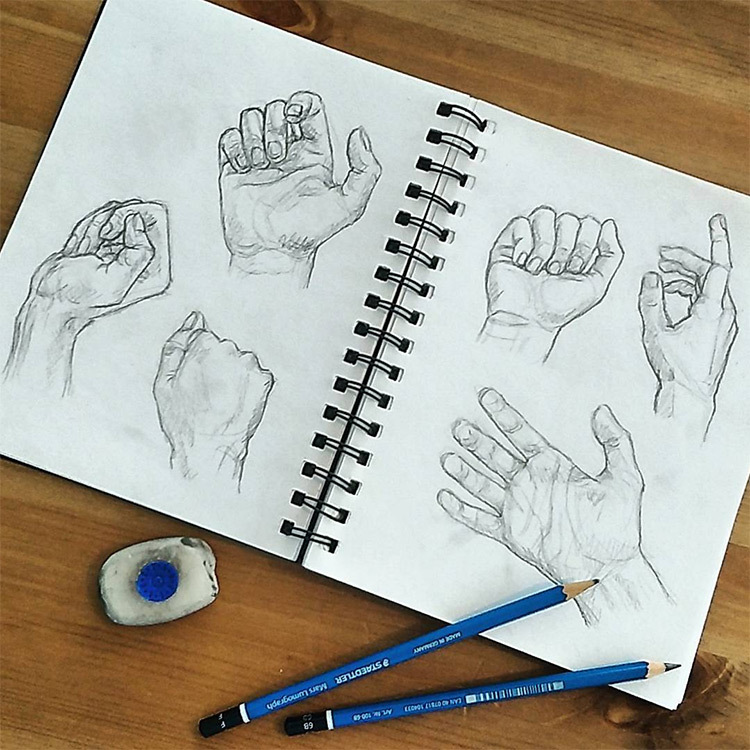 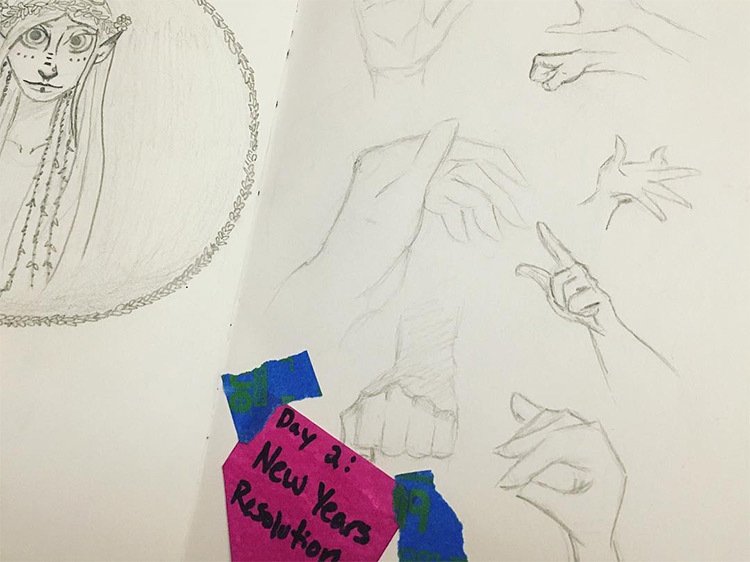 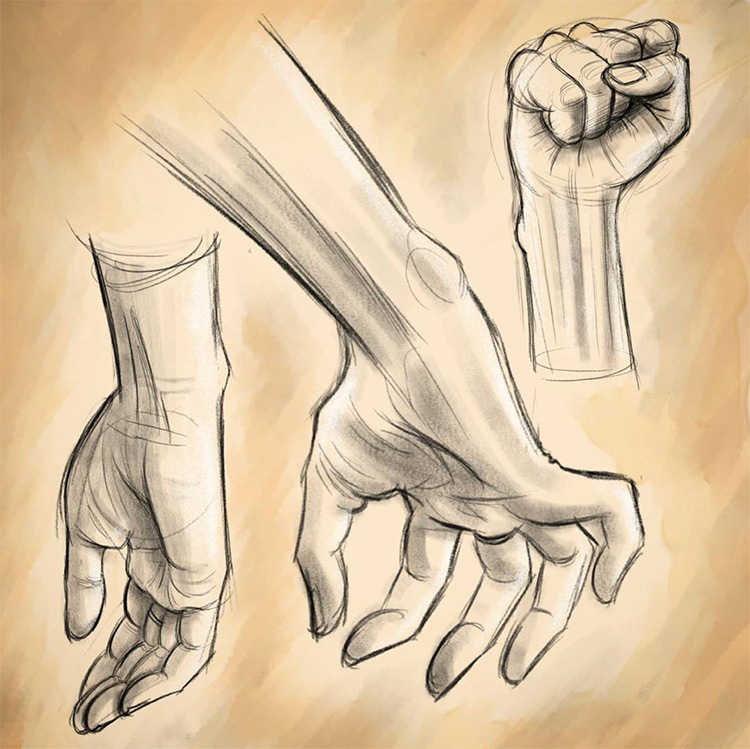 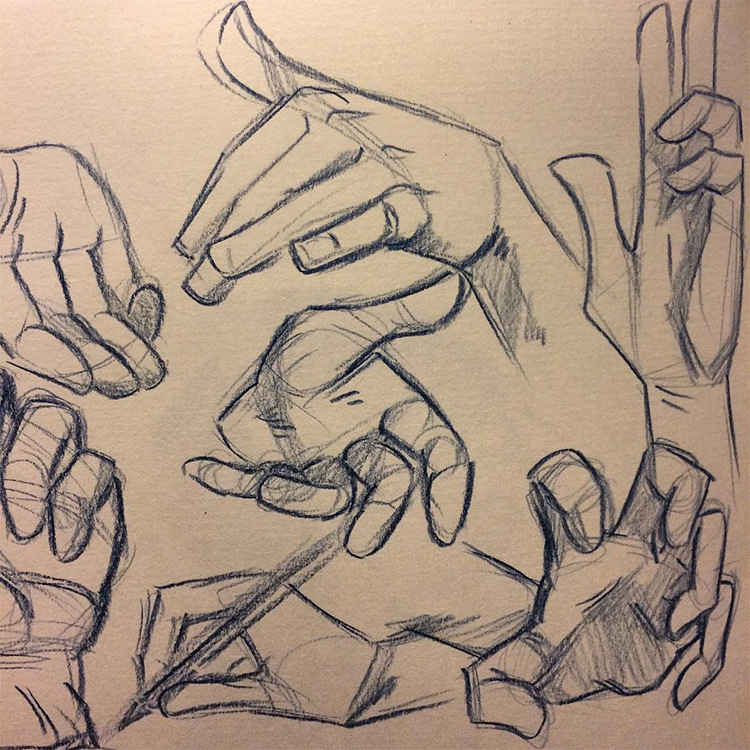 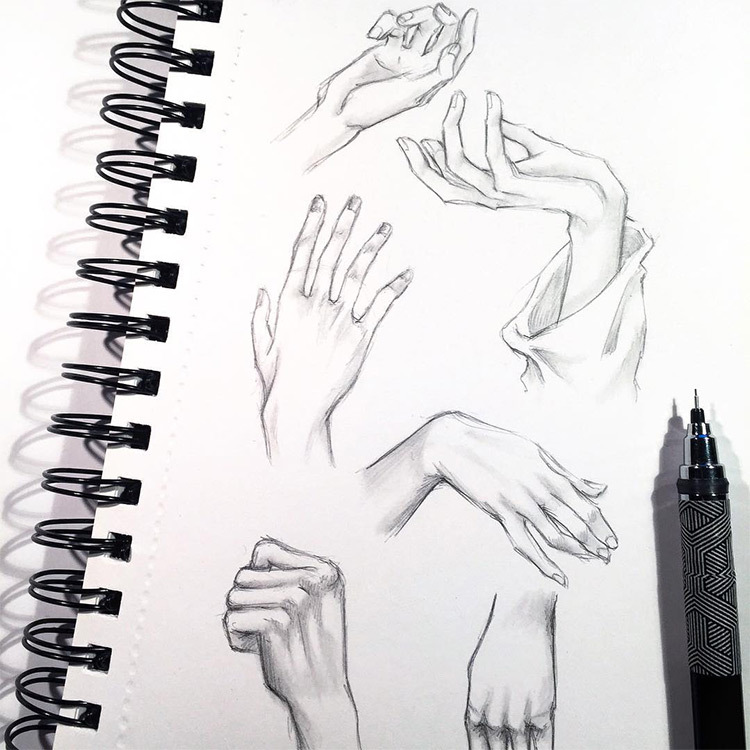 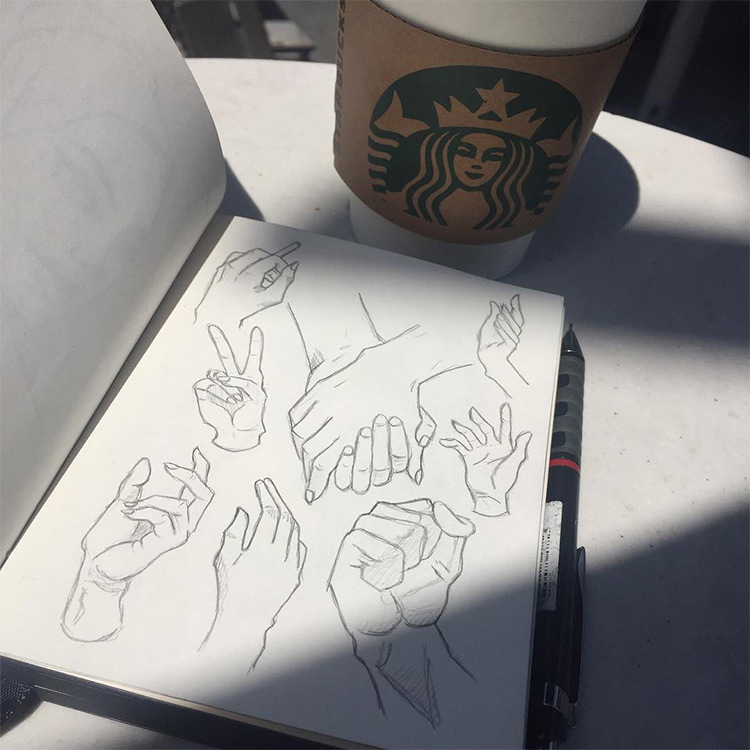 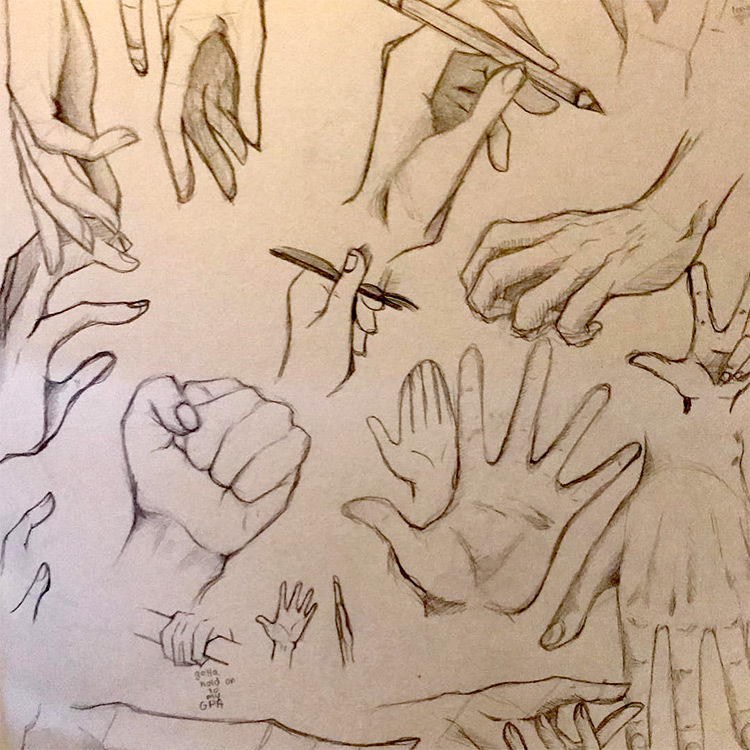 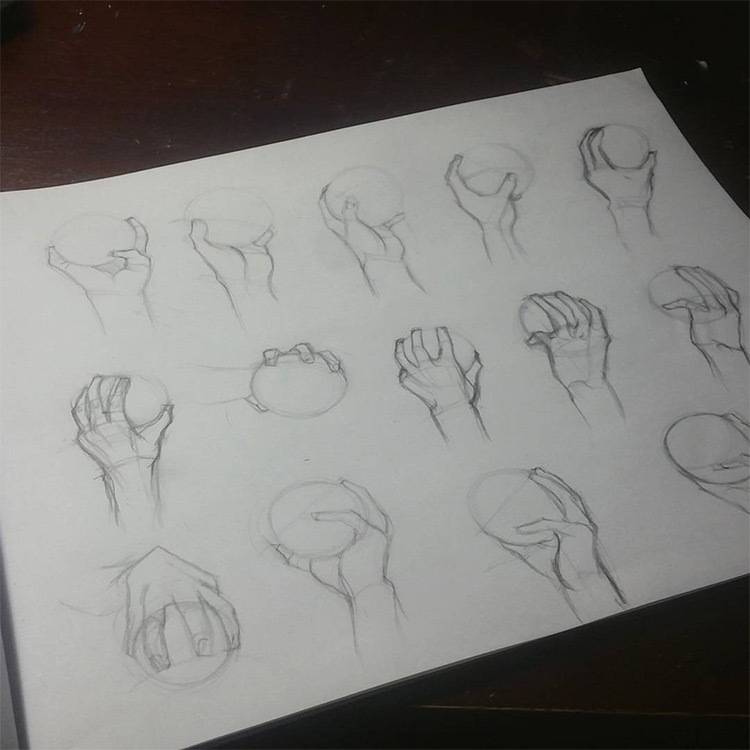 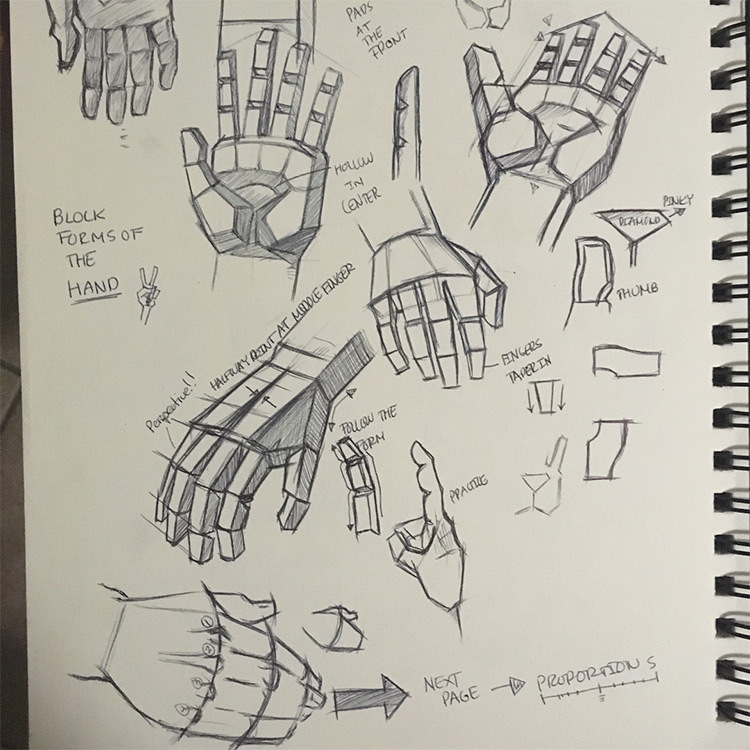 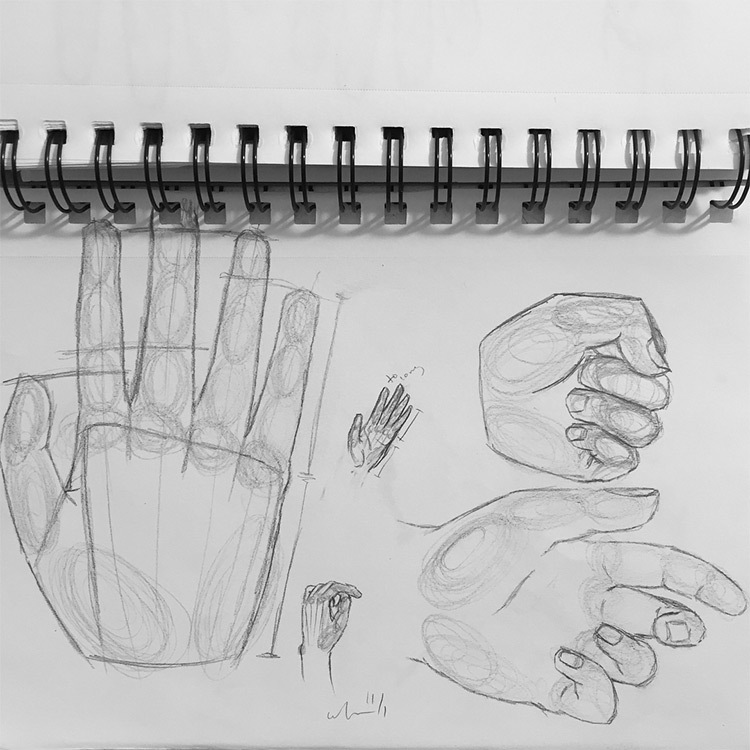 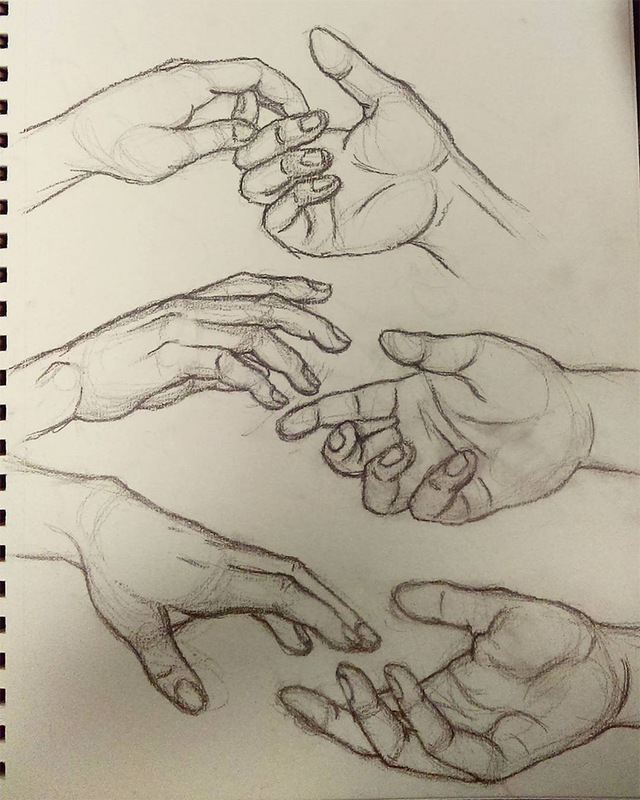 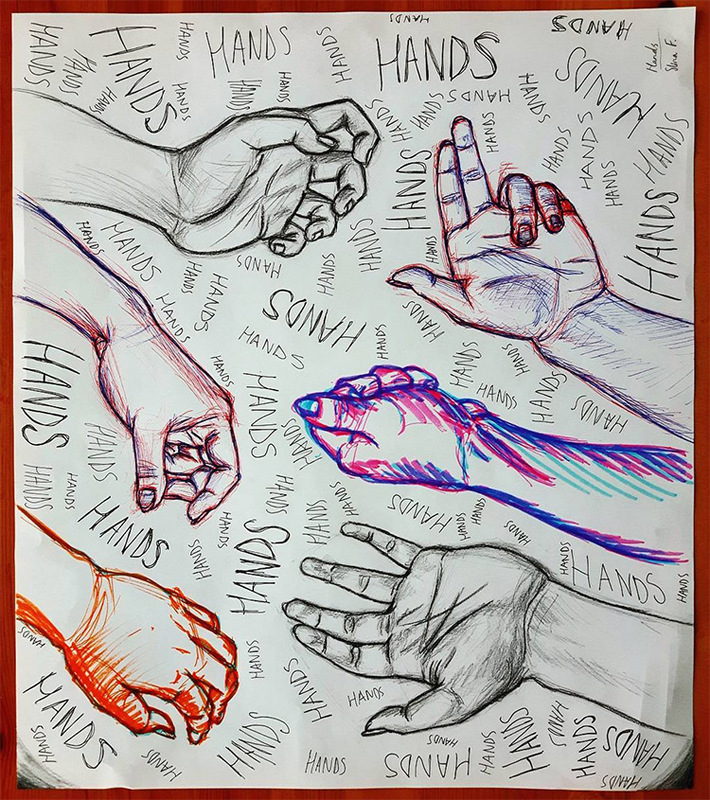 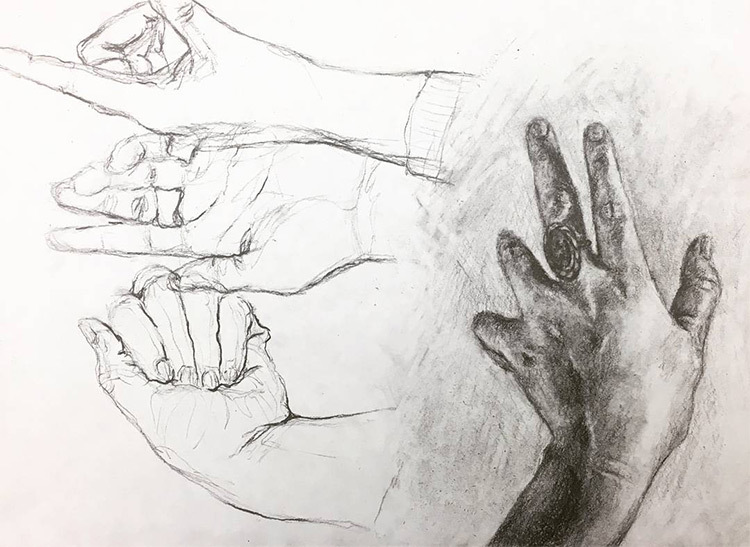 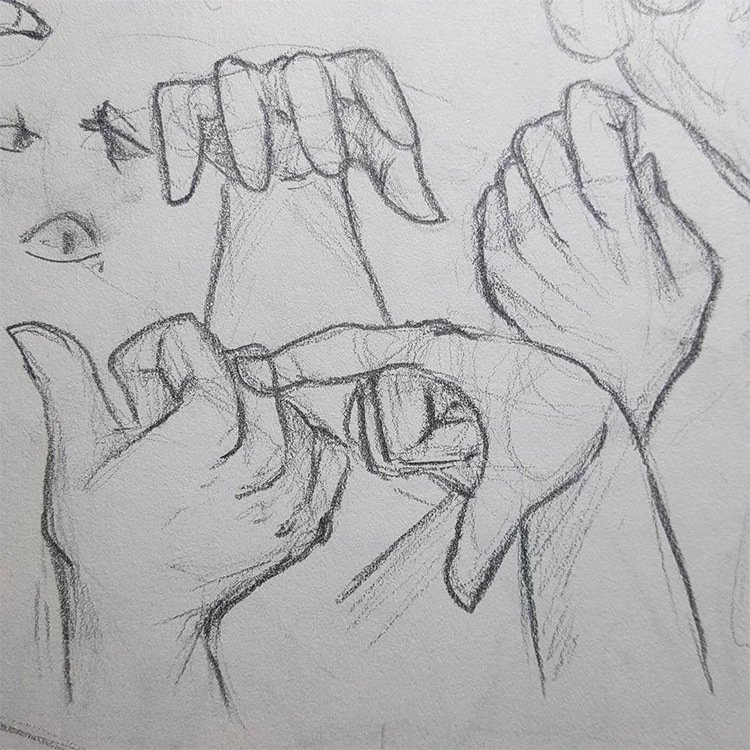 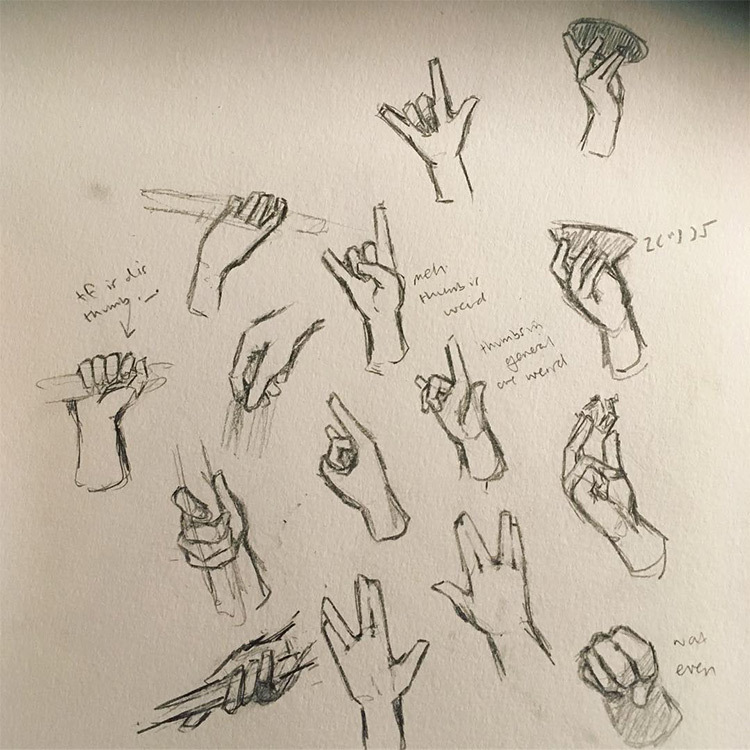 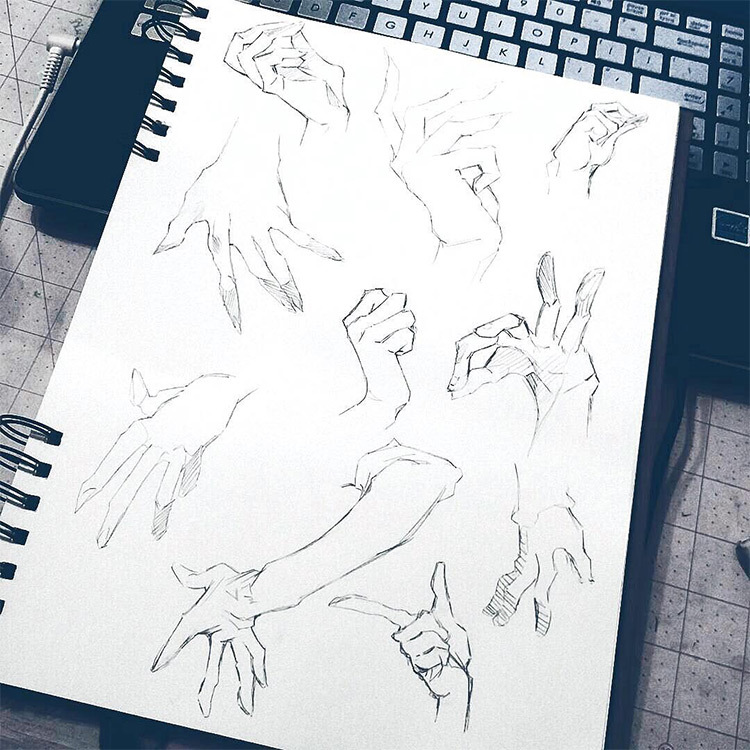 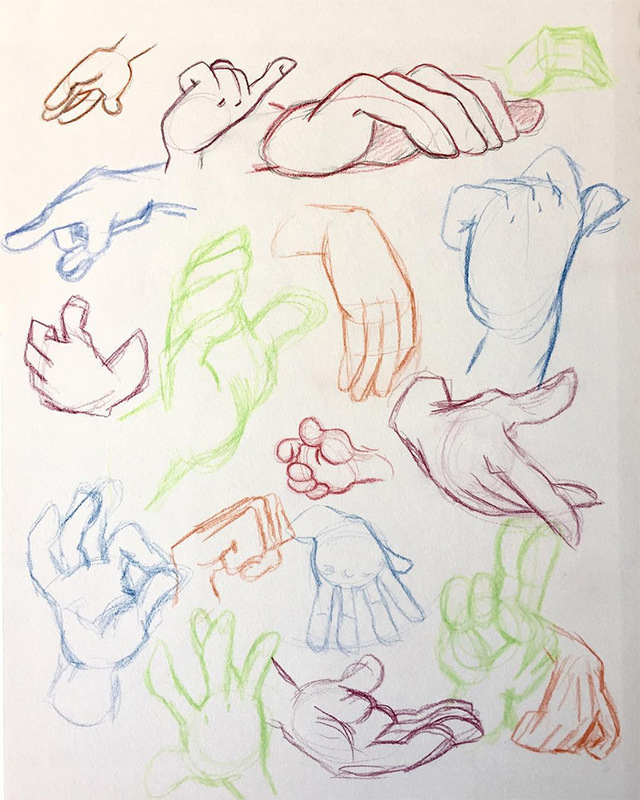 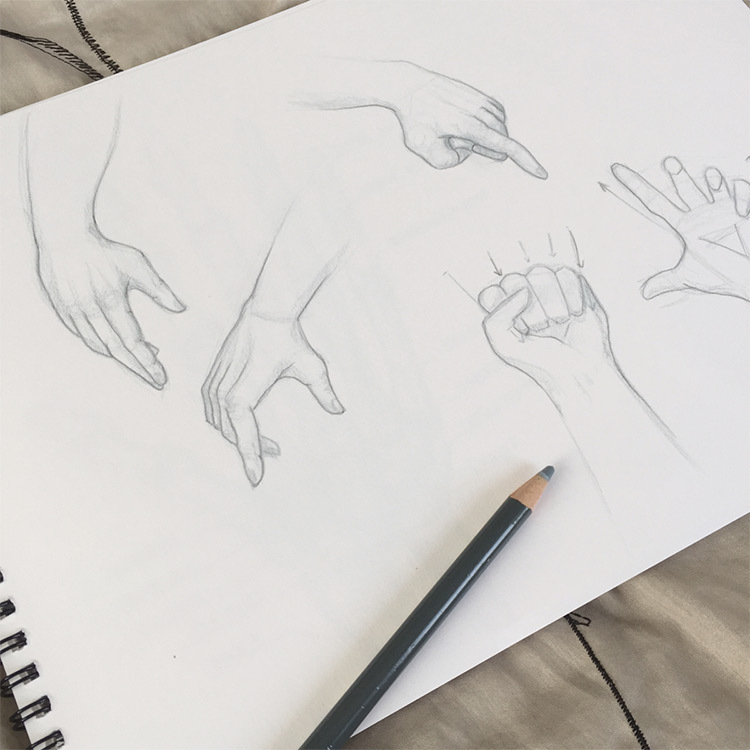 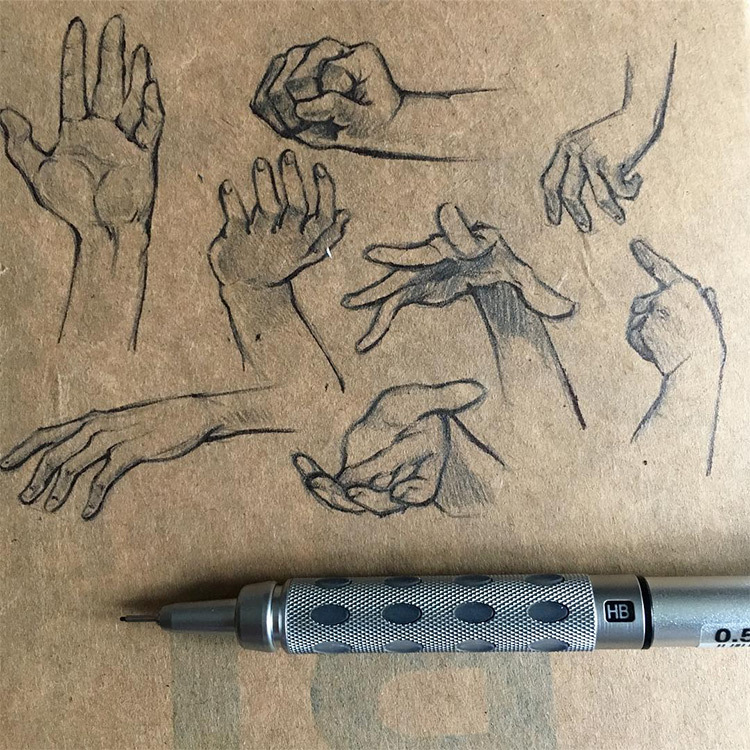 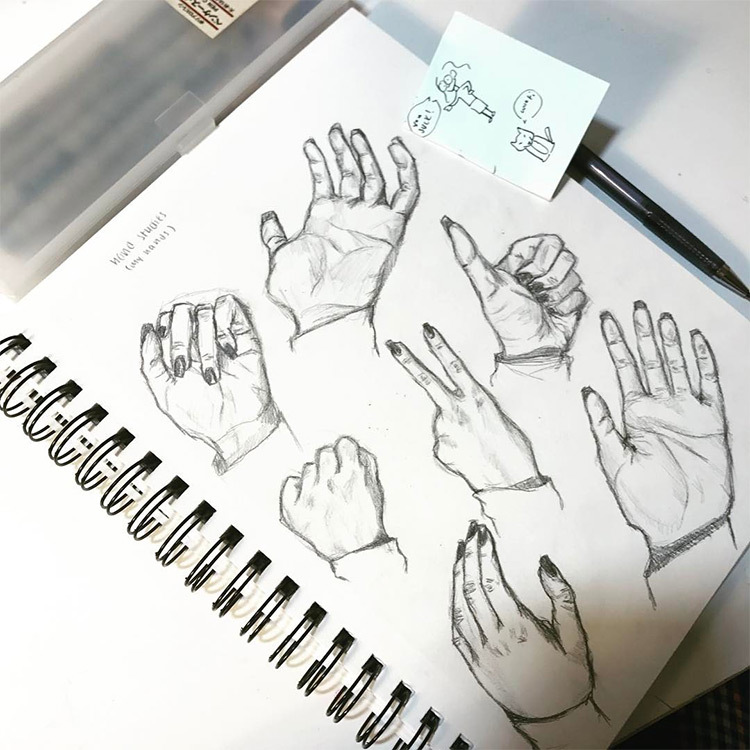 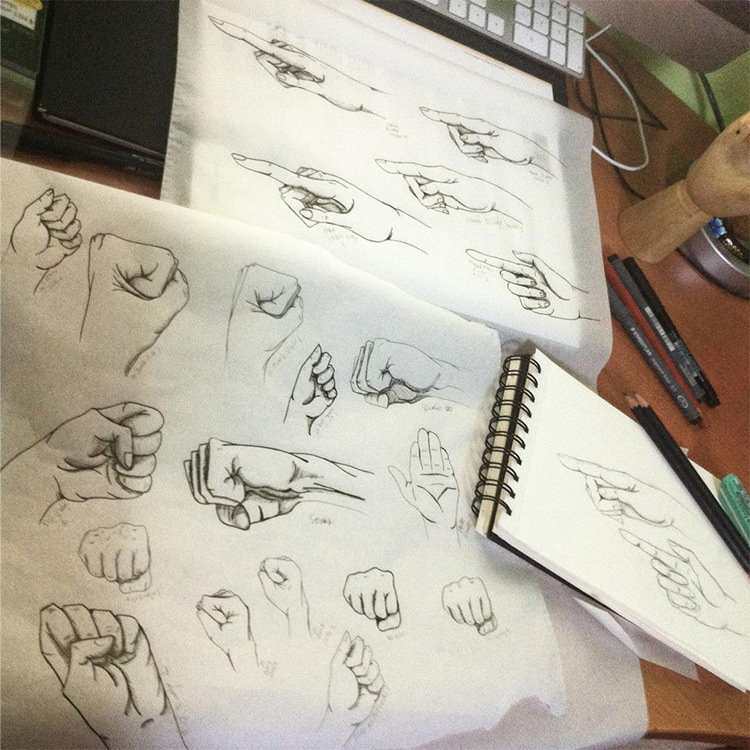 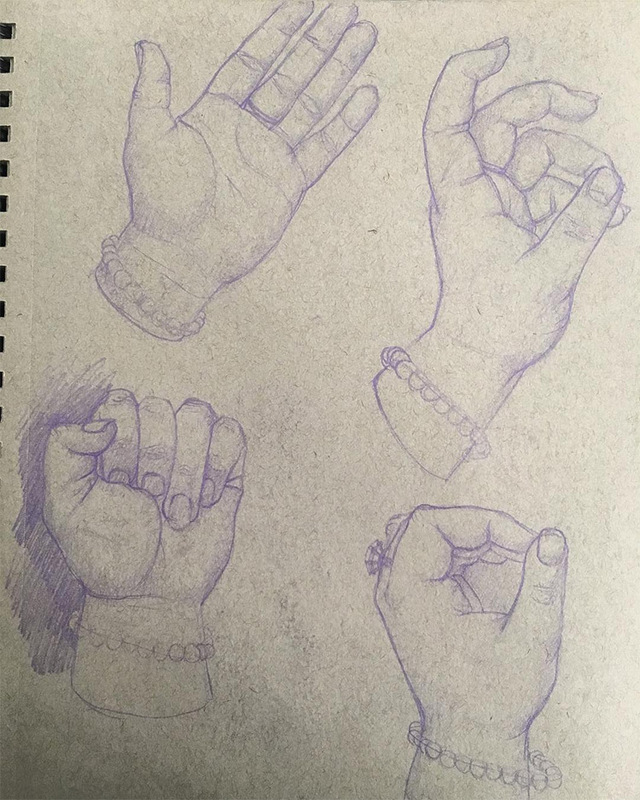 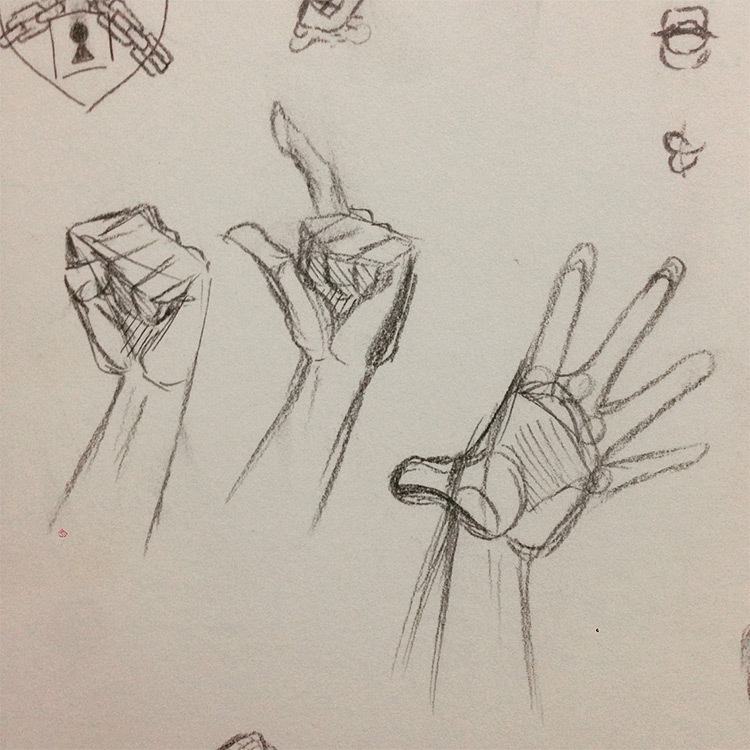 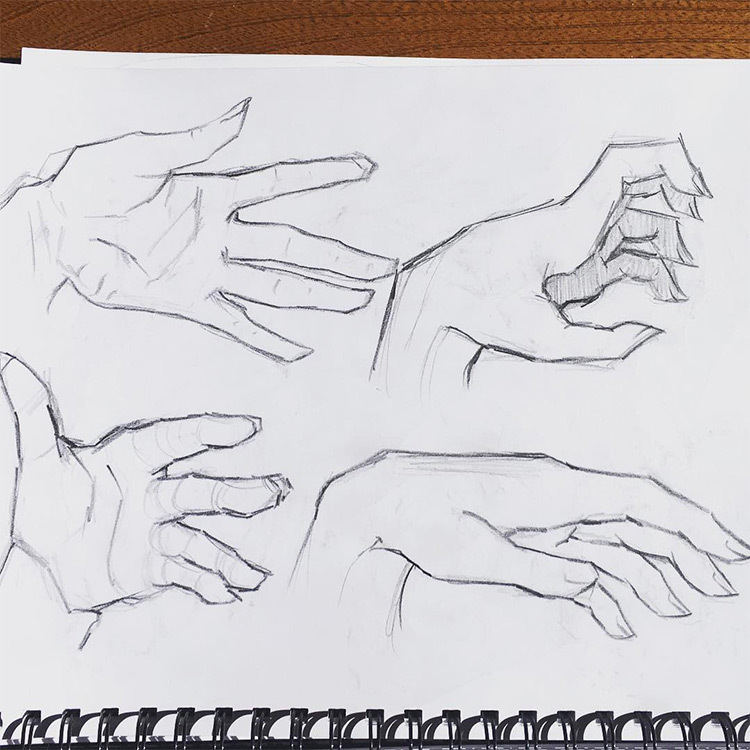 You’ll find hands in all sizes with many poses, and through it all you should find lots of inspiration to get you practicing drawing hands on the regular.